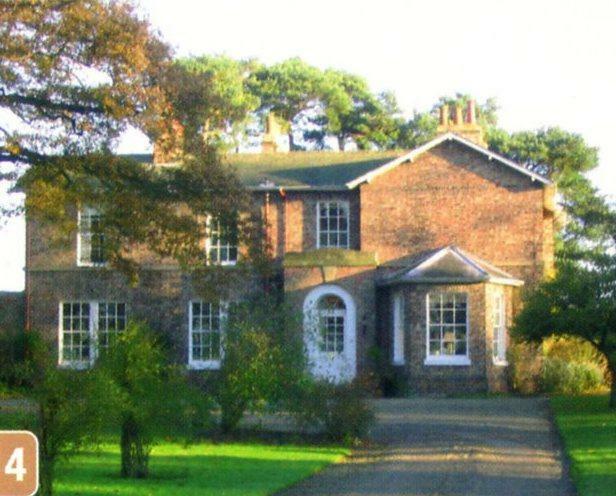 Constructed as a gentleman’s residence originally called Acomb Park House, it comprised two floors with five bay windows and is structurally unaltered externally. The coach house is still in its original form. 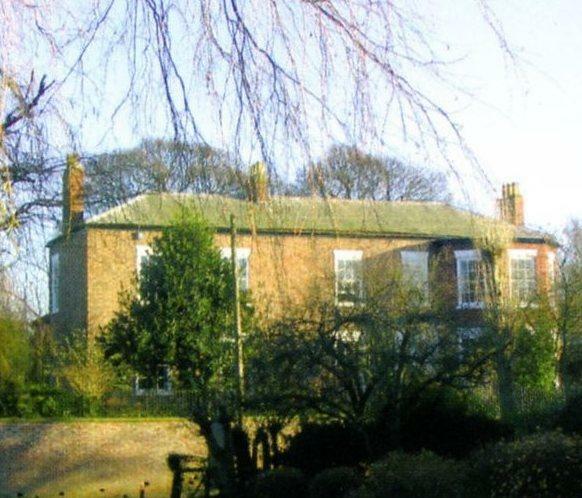 At one time it was the BIG house in Acomb with grounds stretching down to the river. Once used as a hospital/nursing home, it is now partitioned into apartments. 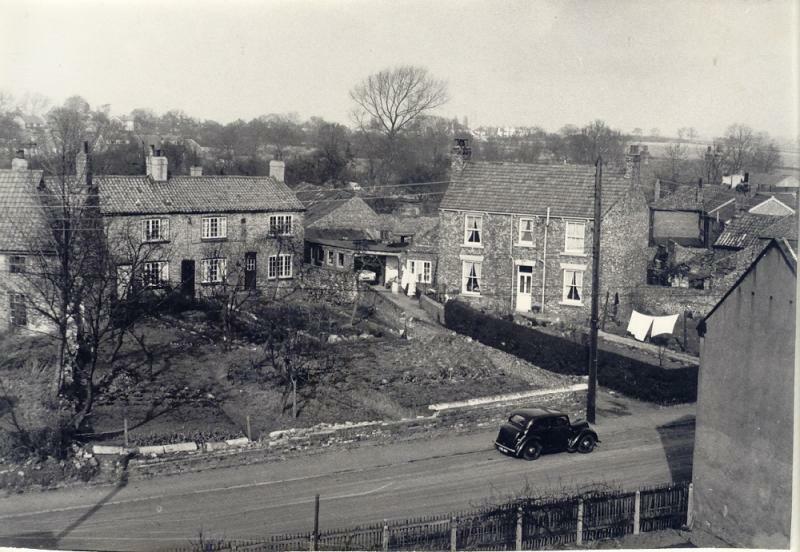 View on map 18/19th century Village butcher's shop and house with ancillary buildings, including slaughterhouse. Of 18th and 19th century with later alterations. 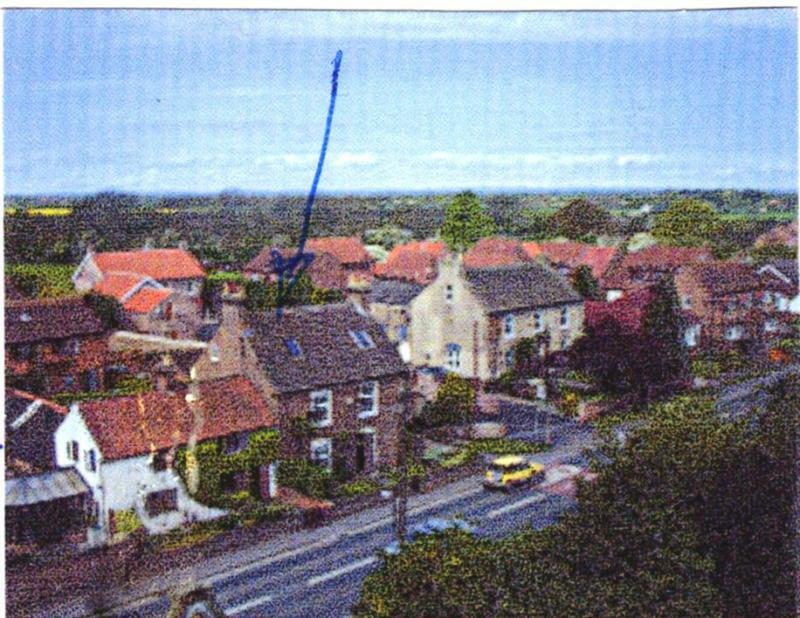 Included because of its location in the middle of the village which gives character to the conservation area and as a valued local amenity. It is also of interest as a rare survival of a long established butchers business in the village. View on map 1763 Originally one building of brick and slate containing the school and schoolmasters house. Now with some 20c addition, 3 dwellings. Of historic and educational importance. Archbishop Drummond’s visitation returns show a school house erected by John Crosby. Shown on O.S. maps of 1832, 1846 & 1891 as a free standing building. A conveyance of 1892 from the Archbishop of York to R. Horner, builder, has a plan drawing of the building. On construction of Archbishop Harcourt’s school this first school was used as a girl’s school and house for the master and mistress. The girl’s school became necessary as the number of village children grew and parents were encouraged to educate their daughters. Also used as a reading room from 1890. Link with the past history of York’s transport system, possibly originally for battery charging. 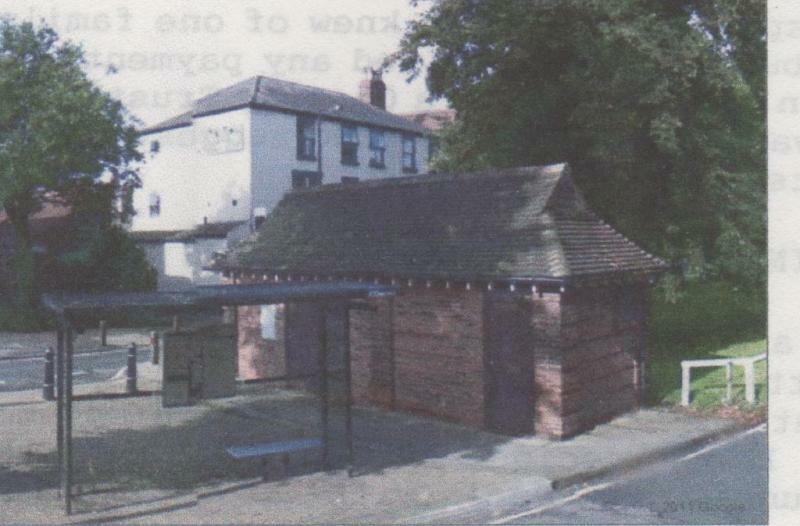 Also used at one time as a public toilet block and now a barber's shop called "The Gents"
Probably designed by the City Engineer. 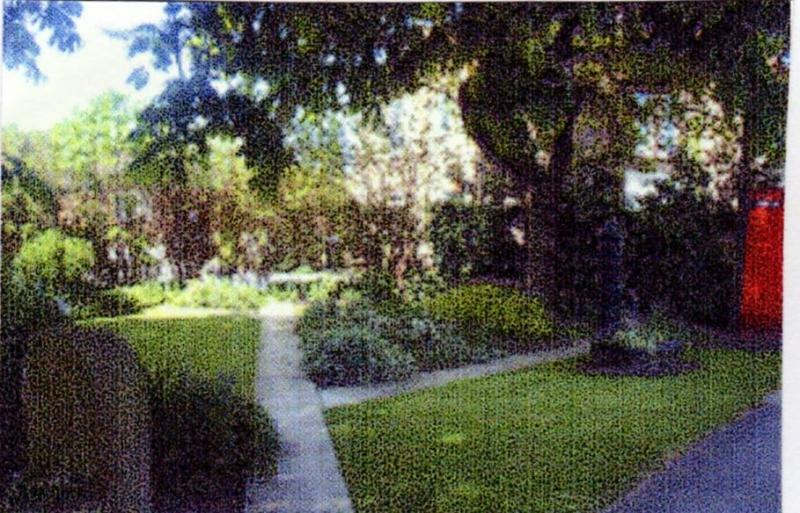 Included in the list because it has been a valued and useful amenity in Clarence Gardens for many years; and because it forms an attractive and appropriate focal point characteristic of its time. Pre 1st World War, probably designed by the City Engineer. A valued and useful amenity in the Gardens for many years. It forms an attractive and appropriate focal point characteristic of its time. 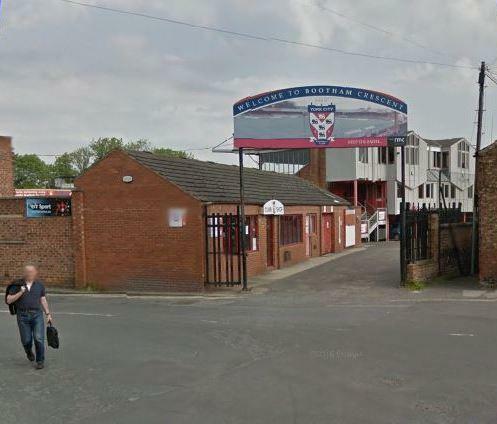 York City Football Club, Bootham Crescent. Scene of many glorious moments and some controversy. Visited by generations of the same family supporters over the years. Part of the history of York City Football Club and a community sporting asset. Likely to be sold for housing development when the new City Stadium is built. View on map 1886 Private residence, originally known as Low Royd. Built for Mr. H M Platnauer, Keeper of the Yorkshire Museum, and probably designed by James Demaine, older partner in the architectural firm of Demaine and Brierley. 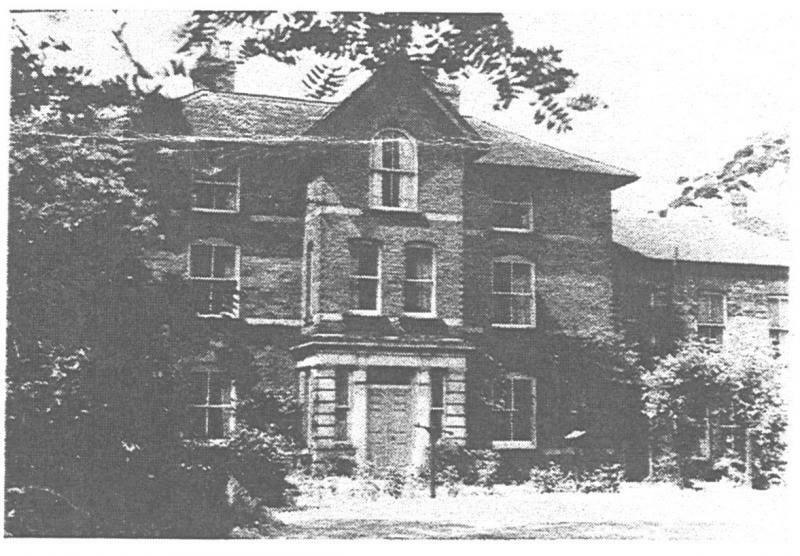 In 1905 a new wing, designed by Walter Brierley, was added to the original house. 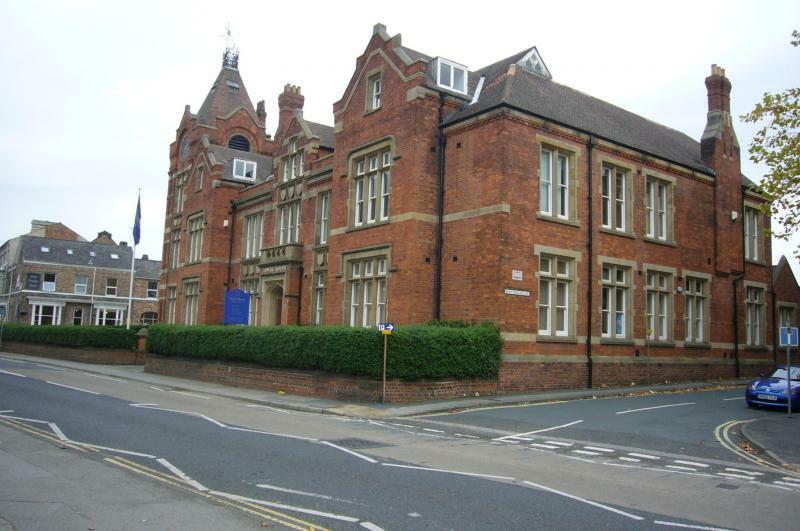 Included because it is the work of two highly regarded architects, of whom Brierley is Nationally recognised; because the 1905 wing retains exceptionally fine fixtures and fittings designed by Brierley; also for its connection with a local personality prominent in the late Victorian cultural life of the City; and for its contribution to the street scene of St. Olaves Road. 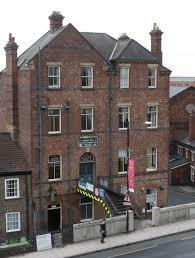 Built by Rowntree & Co in 1908 and gifted by deed to the citizens of York on 4th May 1909. 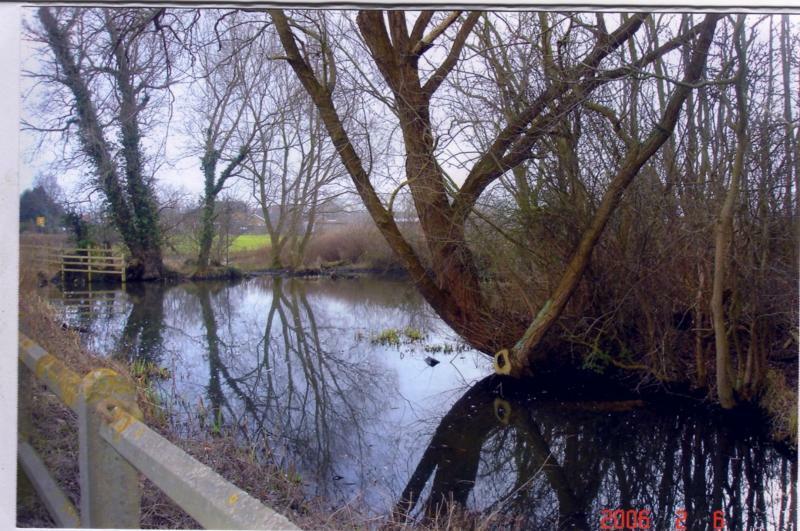 It replaced an old bath in the River Foss downstream of Yearsley Bridge. The new pool was originally open-air. The facility was modernised in 1964/5 when it was roofed over. However the pool tank is relatively unaltered and the poolside cubicles retain many original features. 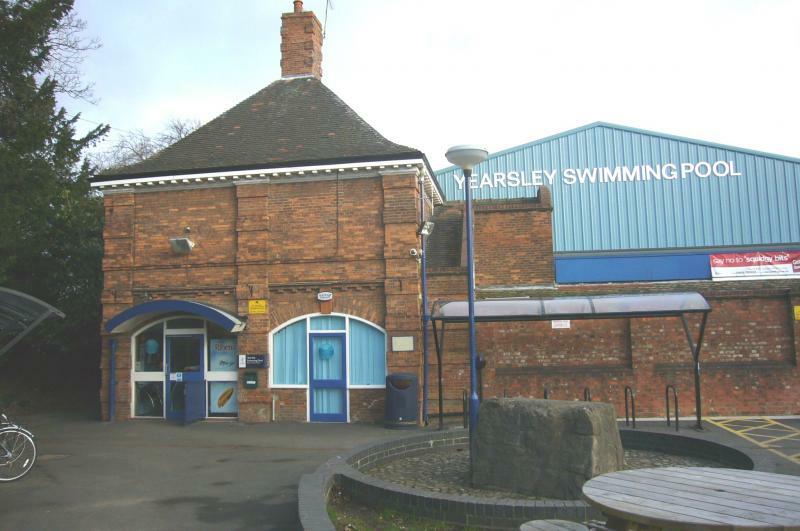 Yearsley Pool epitomises the ‘best of the old’, embodying a time of sound construction, good materials, and pragmatic design combined with a respect for the aesthetic. It serves as a memorial to an era when paternalistic civic pride in local amenities was not uncommon. It provides an important contribution to the community’s well being. 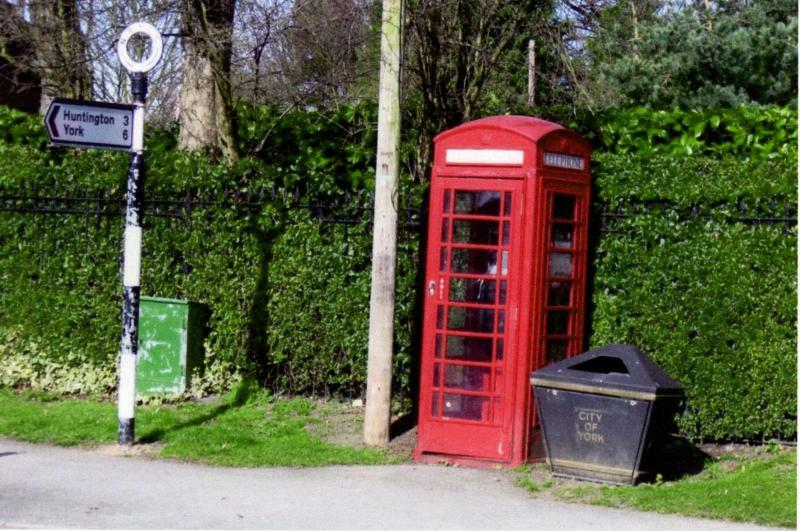 The red kiosks fit well with their surroundings and are examples of Sir Giles Gilbert Scott's K6 design that is becoming increasingly rare. An interesting object of local and historical importance. Unique in the area. View on map Early 20c Former telephone exchange in arts & crafts style, visually attractive. An important community facility. 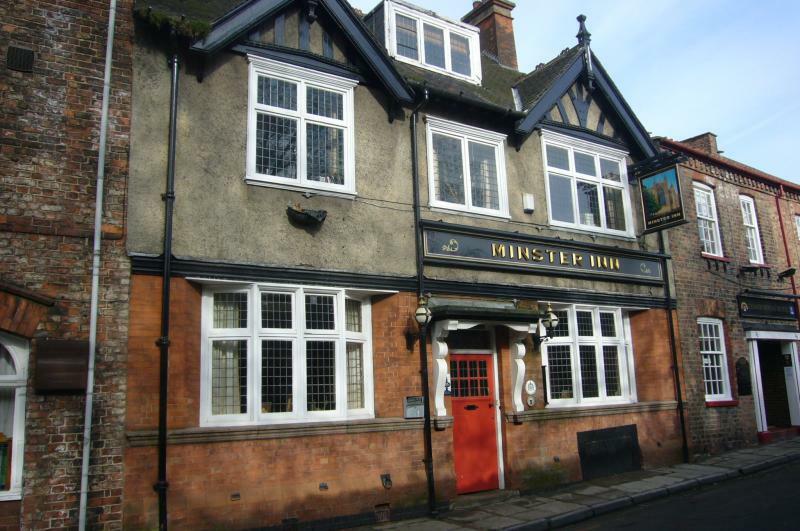 Historically important, visually attractive building situated within the historic core of the village and recently established conservation area. View on map Early 19c This agricultural building sets an historic tone to the entry to the village from Church Balk. 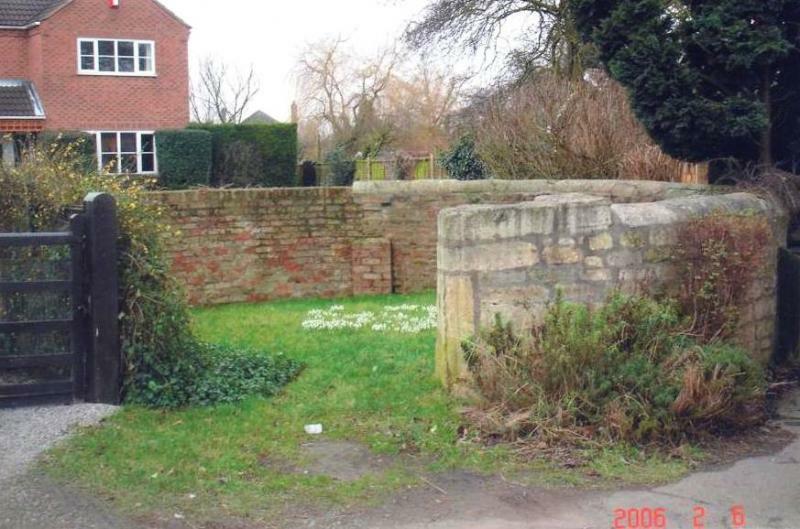 Of English garden wall brickwork it is a visible reminder of Dunnington’s farming past. 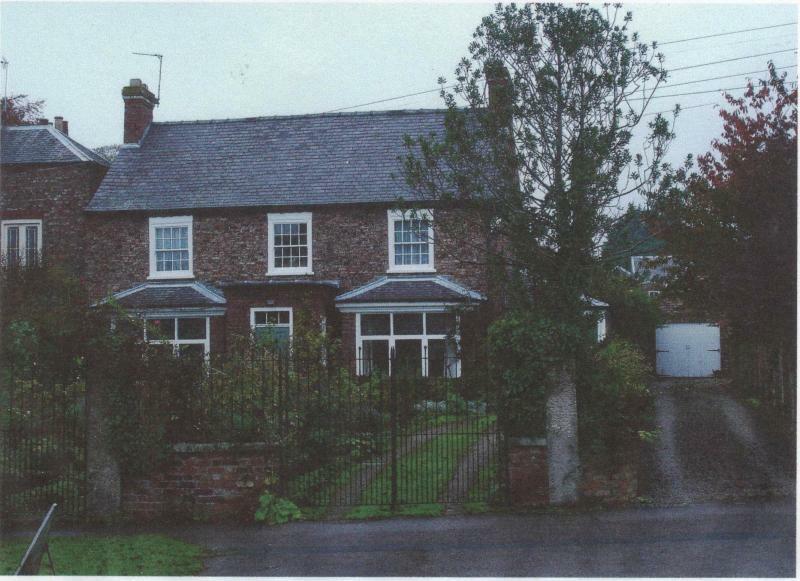 Vernacular two storey detached cottages believed to have originally accommodated the gardener & groom at The Old Rectory. 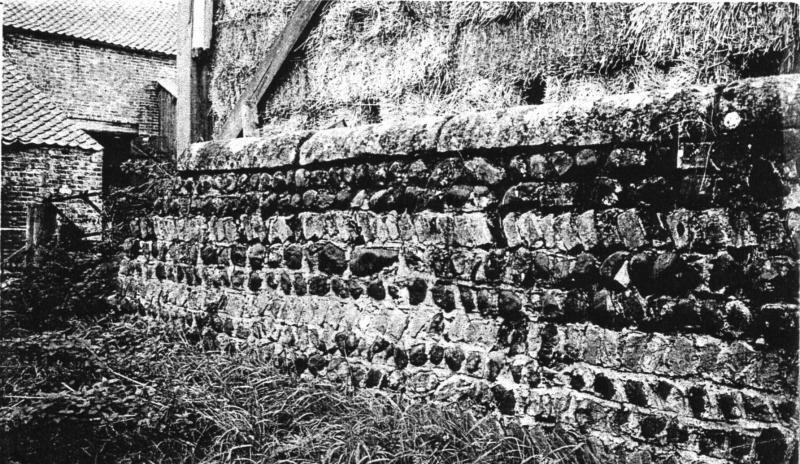 Local clamp brick walls with ‘tumbled gabling’. End and ridge clamp brick dentilled chimney stacks with tall plain fireclay pots. String course at first floor level raised brick verge at one gable. Brick-on-end lintels over openings. 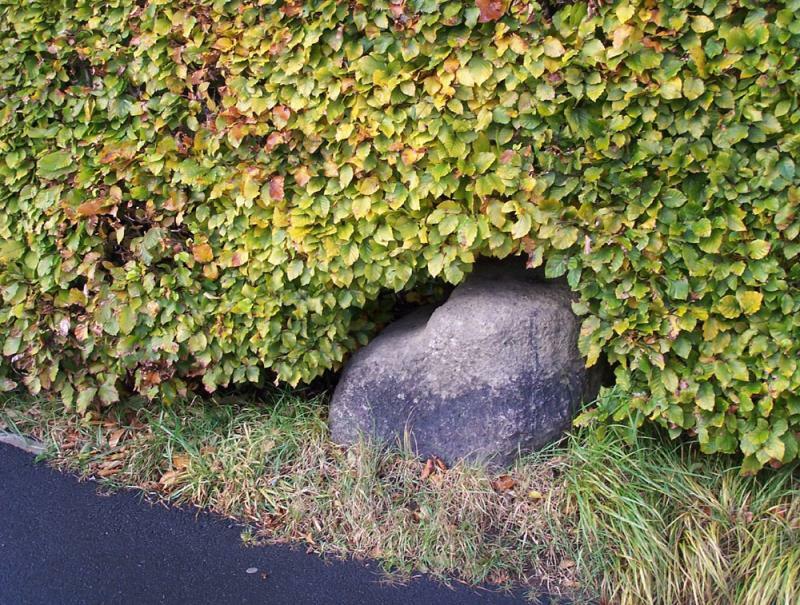 Exposed stone boulder foundations. Clay pantile roof. Wood casement windows (Dunlea) wood simulated vertical hung sash type windows (Virginia). 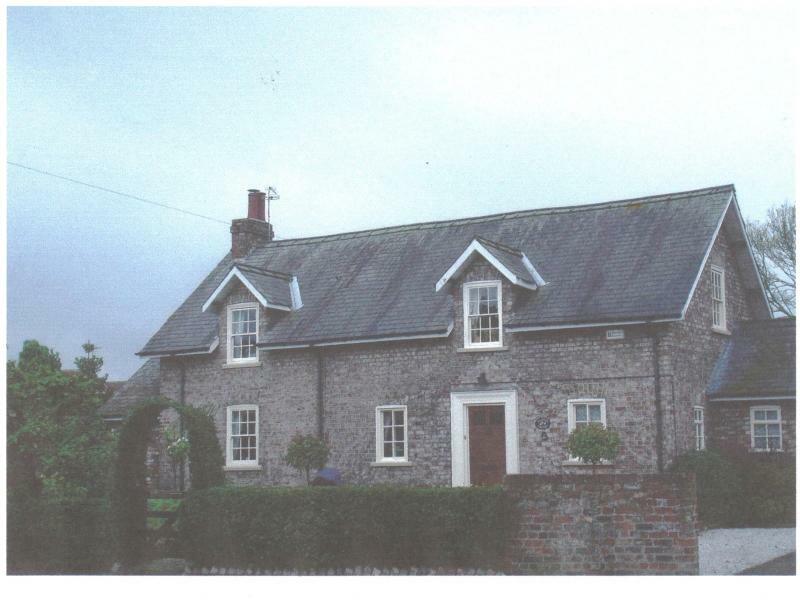 Vernacular two storey detached house with dormer windows set half into roof space. Clamp brick walls and end dentilled chimney stacks. Dark grey Welsh slate roof. 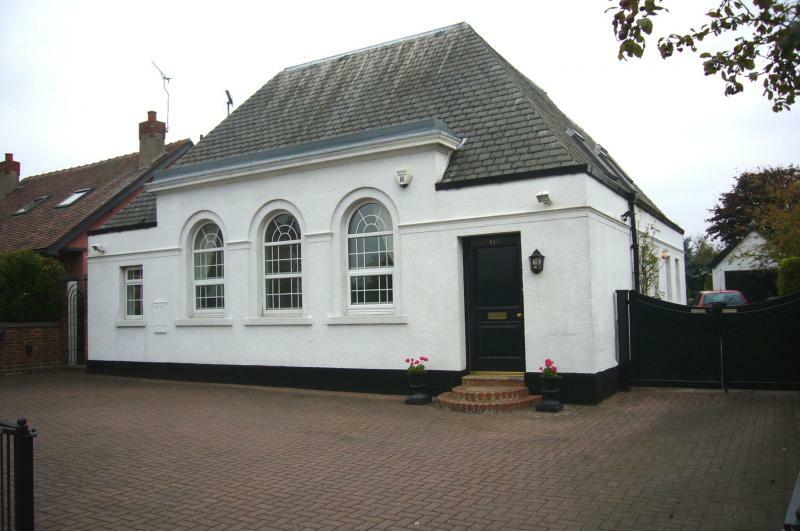 Large Polite two storey detached house in commanding position overlooking Main Street. Clamp brick walls with dressed stone sills and lintels. End and ridge dentilled brick chimney stacks with tall fireclay pots. Westmoreland slate roof. Cast iron gutters and rainwater pipes. Wood vertical hung sash windows for up to 12 small panes. Extensive range of original outbuildings including conservatory, two storey 18th C cottage, range of loose boxes with adjoining tack room, hay loft and coach house with many original fixtures and fittings. The courtyard, partly paved with York flagstones, has a mounting block of local clamp brick with flagstone steps, a large wall hung bell, street lamp and double entrance gates. 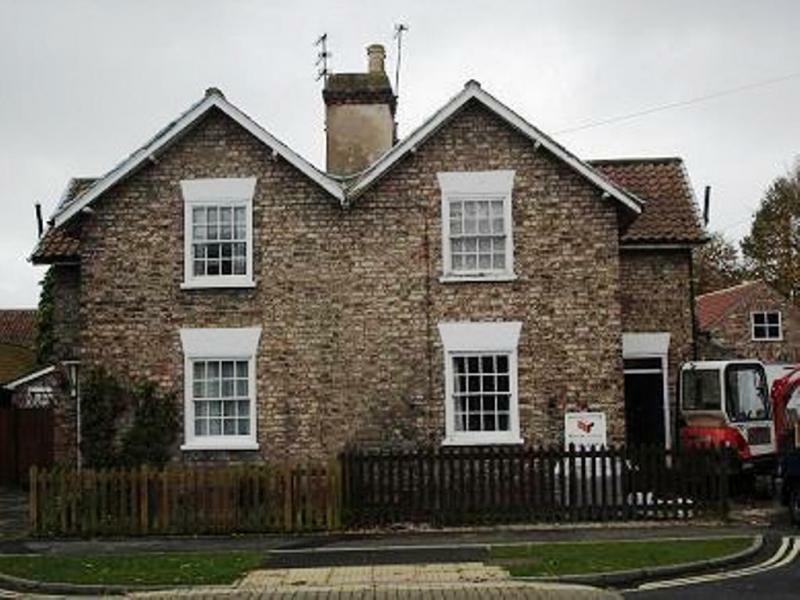 Vernacular two storey detached farmhouse in a prominent position overlooking Main Street. Local clamp brick with ‘tumbled gabling’, end dentilled brick chimney stacks with plain fireclay pots. Dentil course at eaves, rubbed brick-on-end lintels over openings. Raised brick verges with brick kneelers at eaves. Clay pantile roof. Wood vertical hung sash windows for 4 panes. 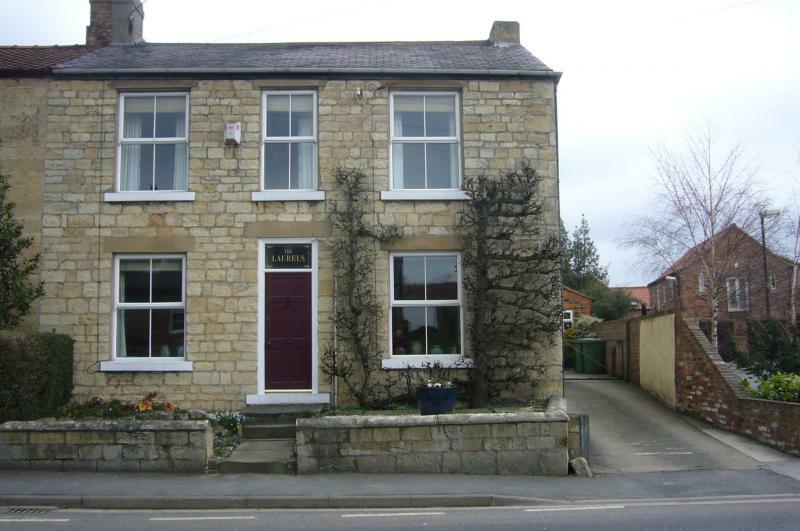 Examples of original Yorkshire horizontal sliding sash windows in evidence. Farm buildings complex and extensive garden grounds to rear. 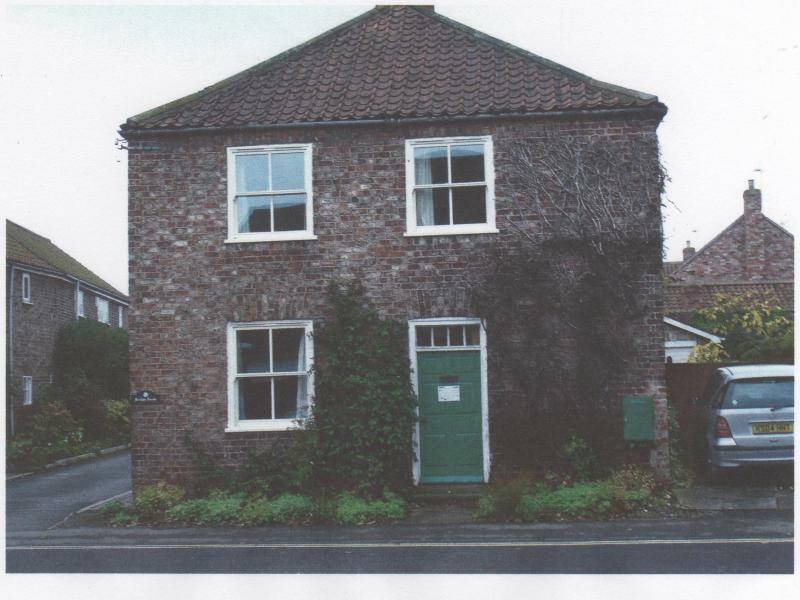 Vernacular two storey house occupied until 1866 by the victualler of the Duke of Wellington Pub. Local clamp brick with ‘tumbled gabling’ End and ridge dentilled brick chimney stacks with tall ornamental fireclay pots. Rubbed brick-on-end lintels. Roof dark grey Welsh slates. Wood vertical hung sash windows for 4 panes of glass. Rear outbuildings include a two storey cottage. 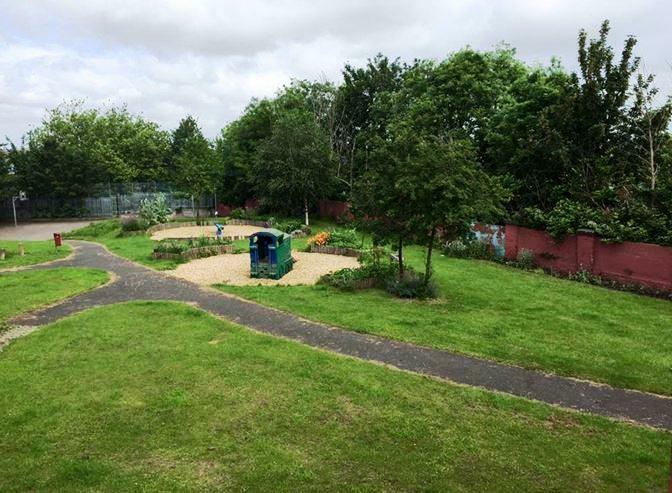 Extensive grounds inc Public Path. 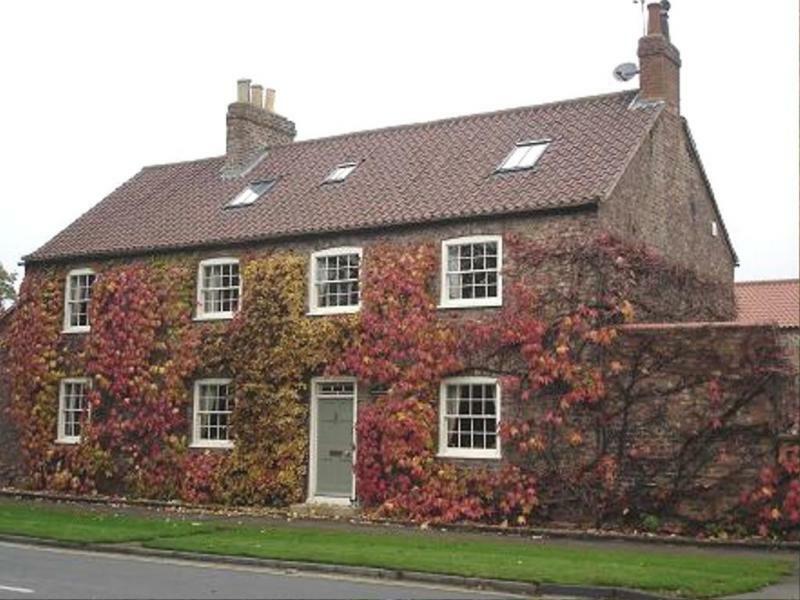 Polite two storey detached house designed by York architect G Townsend Andrews for the Rev T C Price. Clamp brick walls with end and ridge dentilled brick chimney stacks with tall plain fireclay pots. Brick-on-end lintels, projecting base course of brick, first floor string course and sandstone sills. Wood vertical hung sash windows for up to 12 panes of glass. Dark grey Welsh slate roof, cast iron gutters and fall pipes. Entrance porch with key stone, cope and parapet of dressed sandstone, enclosing wood painted door with12 small panes of glass and a fanlight with 4 panes. Extensive grounds including pond, paddocks and woodland beyond ‘ha-ha’ formed with clamp brick retaining wall. Vernacular two storey detached house. Clamp brick walls with one end dentilled chimney stack. Casement windows. Vernacular ‘double pile’ two storey detached house with rear wing. Clamp brick walls, end dentilled chimney stacks. Brick-on-end lintels over openings. Casement windows with up to 6 small glass panes, including random examples of bottle glass in each. Extensive garden grounds and paddock area to rear. 1837 A country pump which supplied both the house and a large cattle trough until the 1960’s. It is embossed ‘1837-BA Esq’ the landowner being Benjamin Agar. 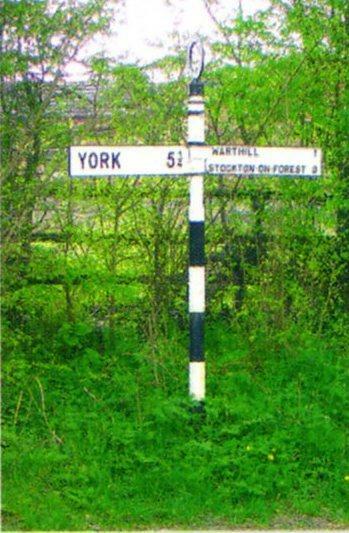 Cast iron, black and white, round plate on top embossed ‘Yorks North Riding C C’ each showing direction and distance to next villages and to York. c1850 One of two remaining large Victorian properties in Dringhouses (there were originally four).Possibly by A J Penty. 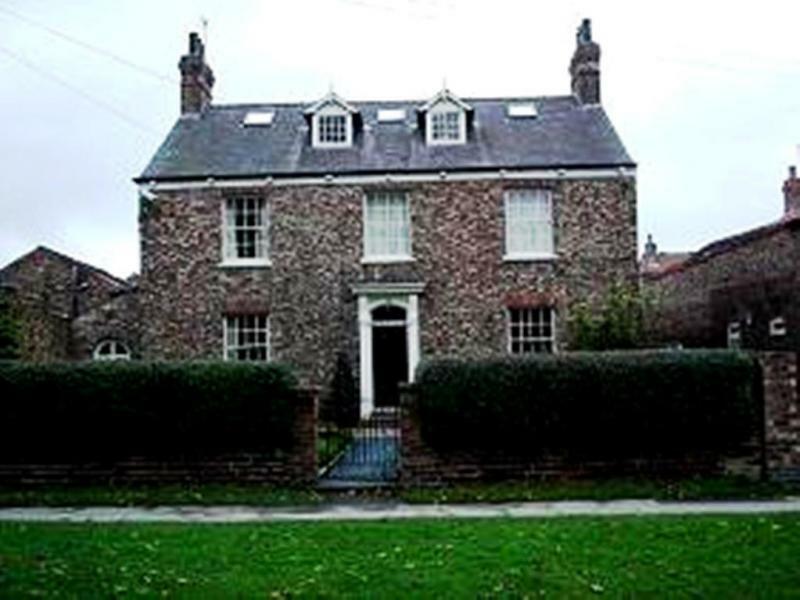 Home at different times to both the Swann and Lycett Green families. Of significant style including the Fox weather vane, with many intact internal features. 1903/4 Designed by W H Brierley (12 drawings in the Borthwick Institute). A very important building in the life of many local people. There has been a pub on this site since at least 1822. 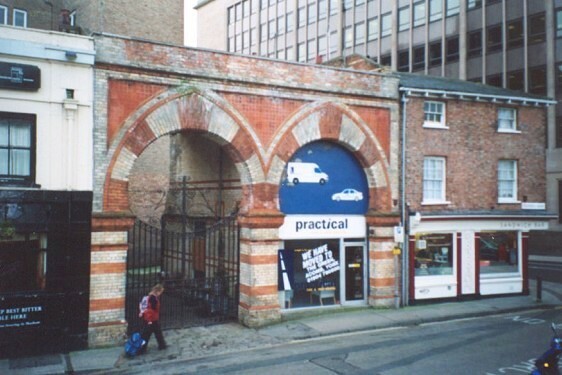 The present building by Samuel Needham still retains external and internal original features, an important building contributing to the street scene on the approach to York. 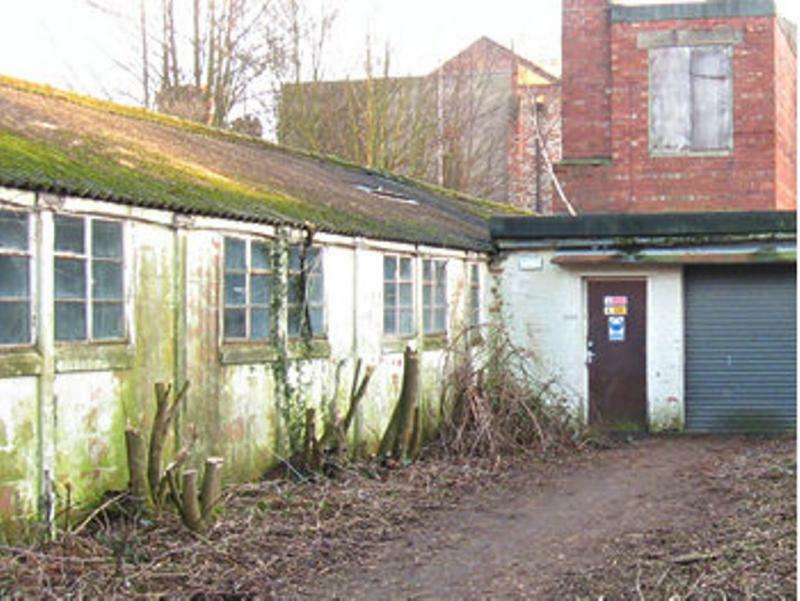 The outbuildings, formerly stables with original half doors, are an important relic of the time when Dringhouses was important in the racing and hunting worlds. A well used local amenity. 1924 Built for Mr. T. Shouksmith by F. J. Penty, drawings in the Brierly Archive at the Borthwick Institute, ref:4/5. A house of real character. View on map 1928 Built for W. T. Forsselius by Brierly and Rutherford. A house of real character. 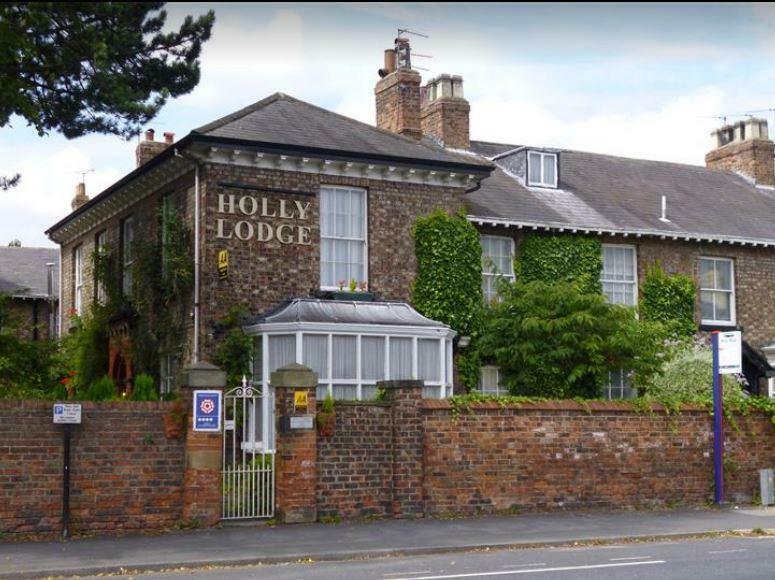 The central section of the hotel was a house; The Hollies was built for John Close, a York businessman and Alderman, by the N. E. Railway who required the site of his original house for the new Railway Station. The rear garden contains elements of the original design with path edges and steps in wrought iron. 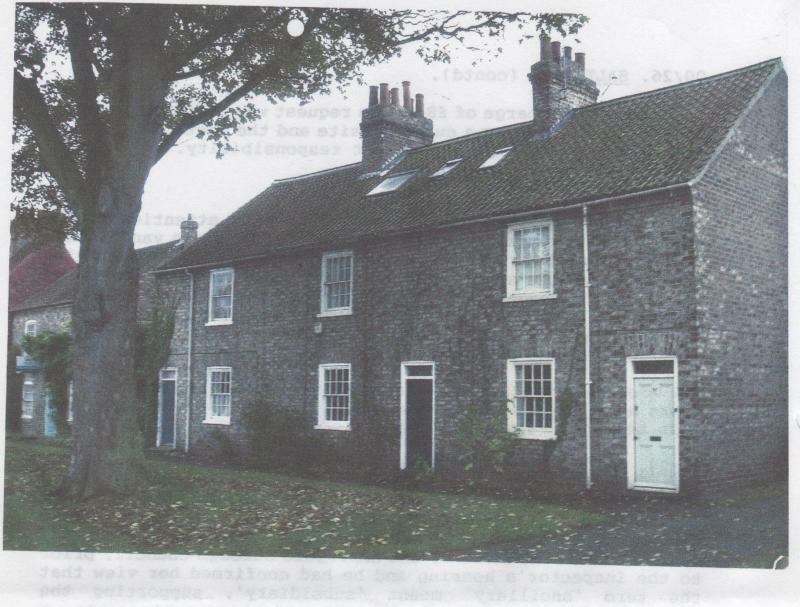 Pre 1889 Ancillary building (cottage & stables) to the large Victorian house called ‘Dringthorpe’ demolished after WW II. Decorative barge boards, chimneys and porch. Pre 1892 Surrounding a small stand of beech trees. Part of the original landscaping of Dringthorpe House. Boundary wall between the front gardens of these two houses. Constructed of brick and cobble, it is probably a remnant of an earlier building on the site. Of particular interest because of the rare use of cobbles as a building material in York. 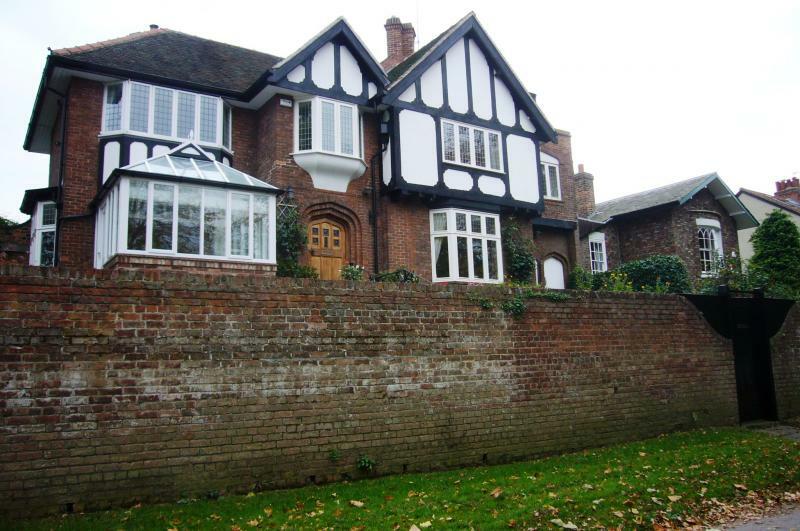 c1892 This detached house has square bay windows and extensive decorative tile-hanging. A good and rare example of this craft in Dringhouses. 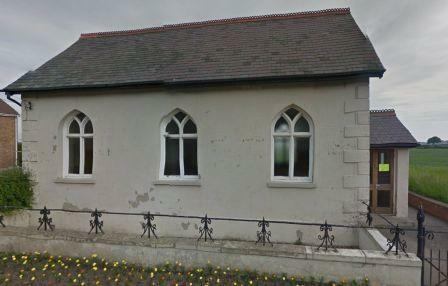 1896 Replaced an earlier chapel built in 1834, it was superceded as a place of worship in 1954. 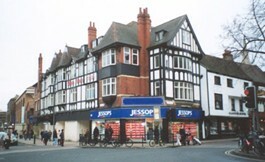 Although much altered (it is now a computer shop) it is still recognisable.. it was part of the social history of Dringhouses. View on map This white painted secure boundary complete with wide gates and kissing gates has been part of the local scene for decades. Evidence of the former use of these parts of the stray for grazing. View on map Originally The Turf tavern. 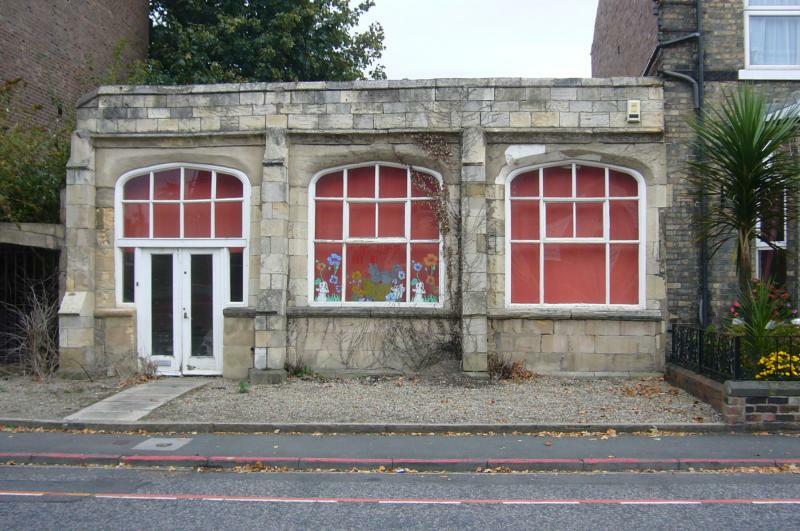 York Open Planning Forum would like to know more about this site - if you know anything about its history please get in touch! ?1745 This remnant of flooring, presumably dating from 1745 when the chapel was built is in the churchyard. The Chapel was replaced by the present church in 1849. View on map 19c This group includes the signalman’s cottage for the level crossing named “Chaloner Whin Gate” which used to cross Moor Lane. 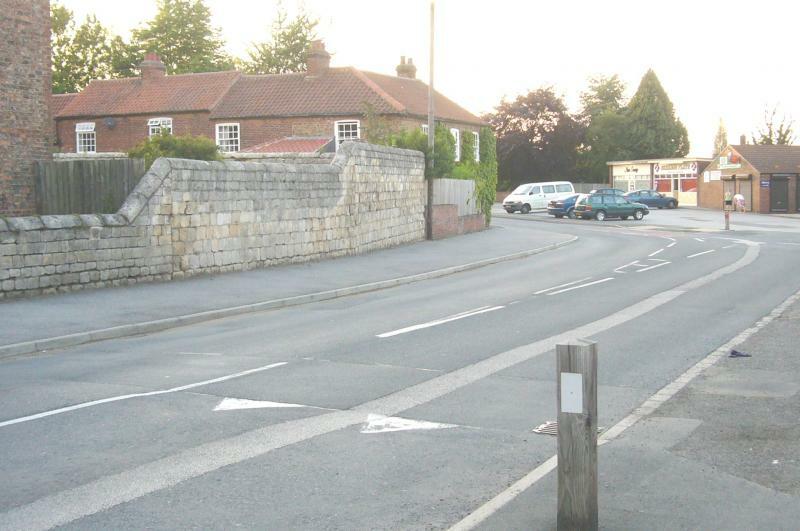 They are part of railway history as the road was realigned when Moor Lane railway bridge was built, leaving a cul-de-sac. An unusual building of character more typically seen in S.E. England. An example of good mid 30’s architecture which makes a contribution to the local scene. Originally constructed for the War Office it still bears the inscription "Headquarters Northern Command" above the imposing main doorway. Of red brick, Tudor, symmetrical, but with a big corner with a pyramidal roof. The clock tower still retains the original winding gear. It lies on the site of a Roman burial ground. Currently used as a business centre. Private residence incorporating an arcade formerly part of York Theatre Royal designed by John Harper in 1834 which was moved in 1879 when the Theatre Royal was remodelled. Of interest for this reason. 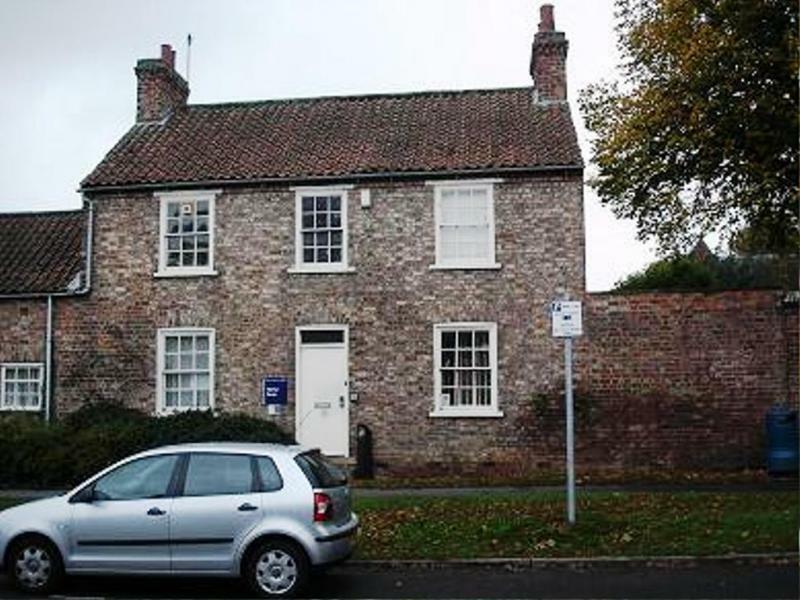 1880 Built for the East Riding Constabulary, it originally included a Charge-room, 3 cells and two dwelling houses for resident police officers. After 1884 it became the base for the Fulford fire engine. 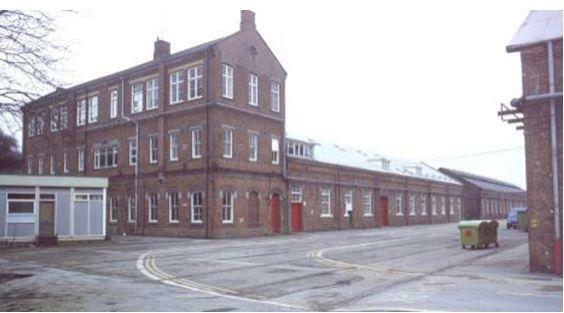 The building is representative of a crucial phase in the expansion of York during which the Imphal Barracks were enlarged (1877/80) and associated development along Fulford Road brought about its incorporation into the City of York in 1884. it is also a handsome building in its own right, and on its prominent corner site makes an important contribution to the local street scene. View on map 1925/1933 Built as a nurses home for The Retreat by Chapman & Jenkinson, it is now student accommodation for the University of York. Tall pale brick ranges with darker brick dressings, William and Mary style with pedimented gables and round headed windows. View on map 1910 An early and important example of purpose built workers housing. Originally for York Corporation tram workers. 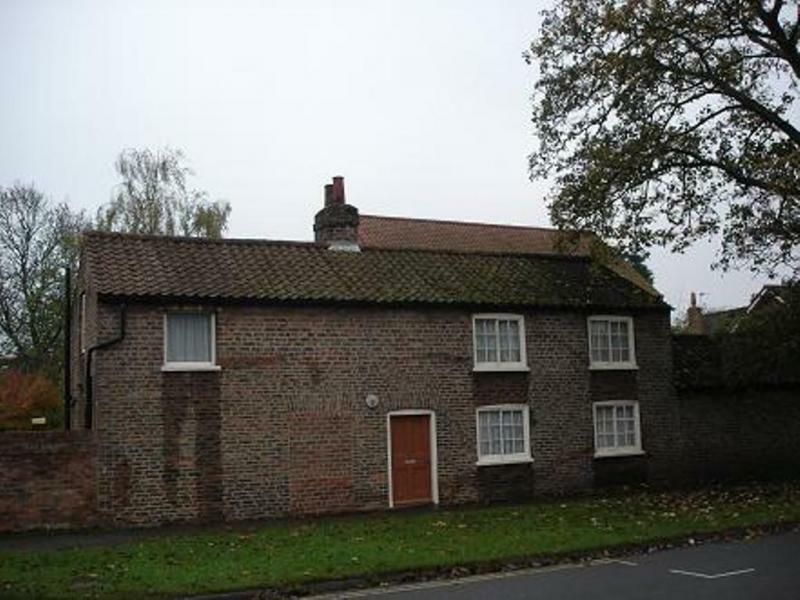 York’s first council houses. View on map About 1870 Purpose built as an off licence premises. Originally owned by Sml.Smith's brewery who sold the property in the 1950's. It is now divided into flats. Holly Croft 20 Wenlock Terr. 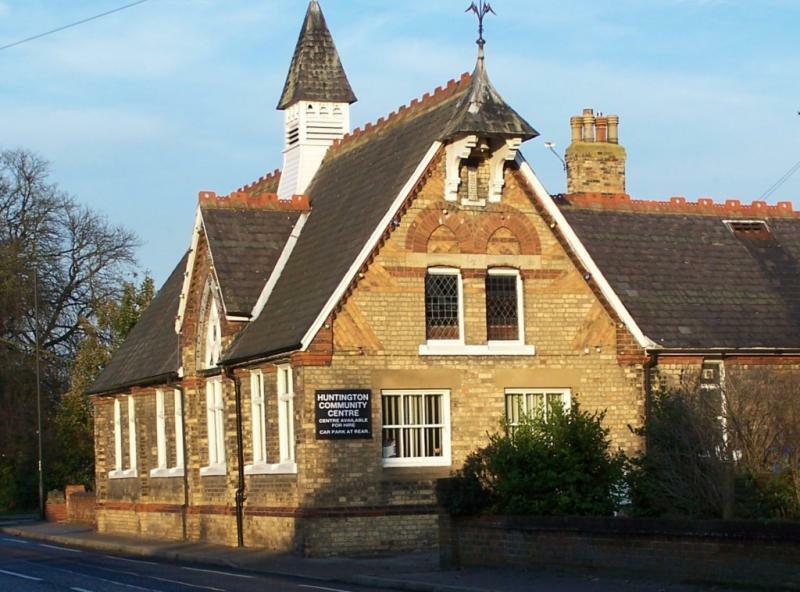 An attractive group of red brick and tile almshouses by Needham, Thorpe & White. Two storied with shaped gables, in terraces around three sides of an open square with smaller blocks behind. Set in a beautiful garden in a rural part of Fulford which provides an important transitional buffer between the village the urban Fishergate. Until 1930 this was a school. 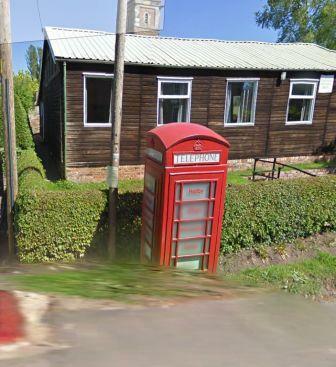 During the last war it was an ambulance station and first aid centre. 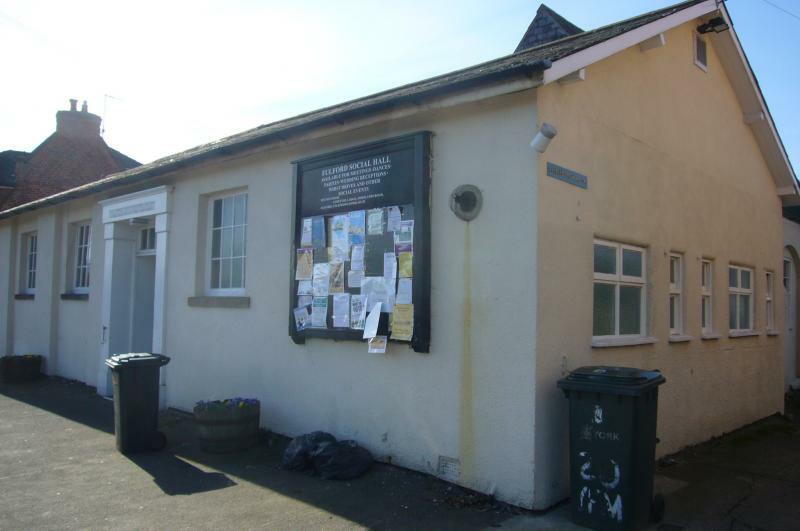 The Parish Council then purchased it and carried out various repairs before it became a community social hall and library. 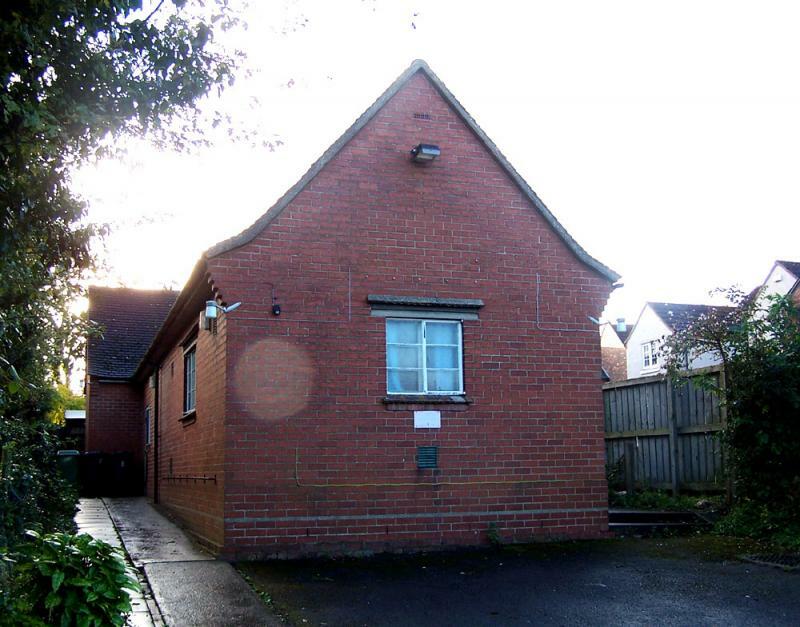 It is well built with a beamed internal roof space and is used by the local community. 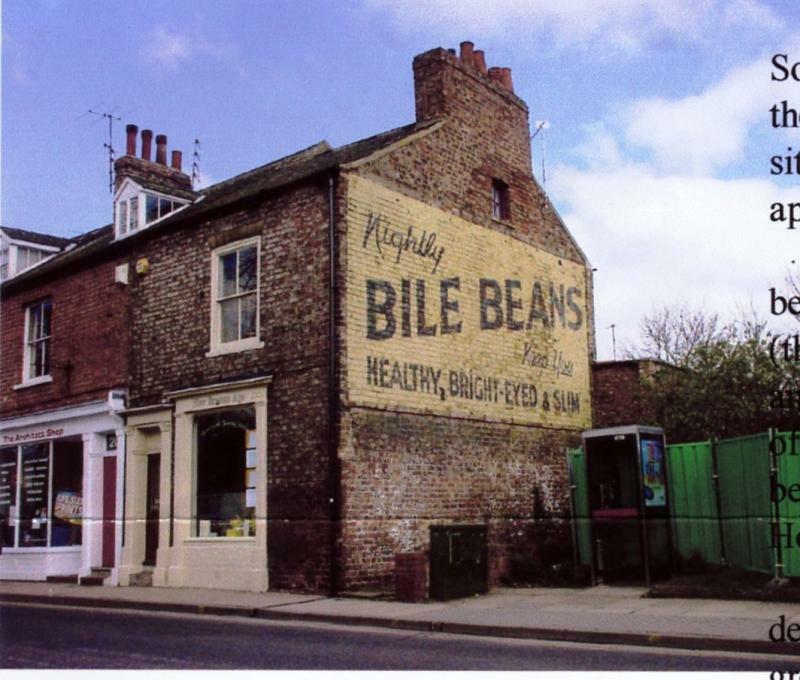 Advertisement painted on the side elevation, indicating that: “Nightly BILE BEANS keep you Healthy, Bright-eyed and Slim”. Probably dates from the 1920’s. Included in the List as an example of early 20c advertising and as a colourful and valued contribution to the local street scene. Fruit store with refrigerated storage and ripening room built for F T Burley, wholesale fruit merchants and banana specialists. 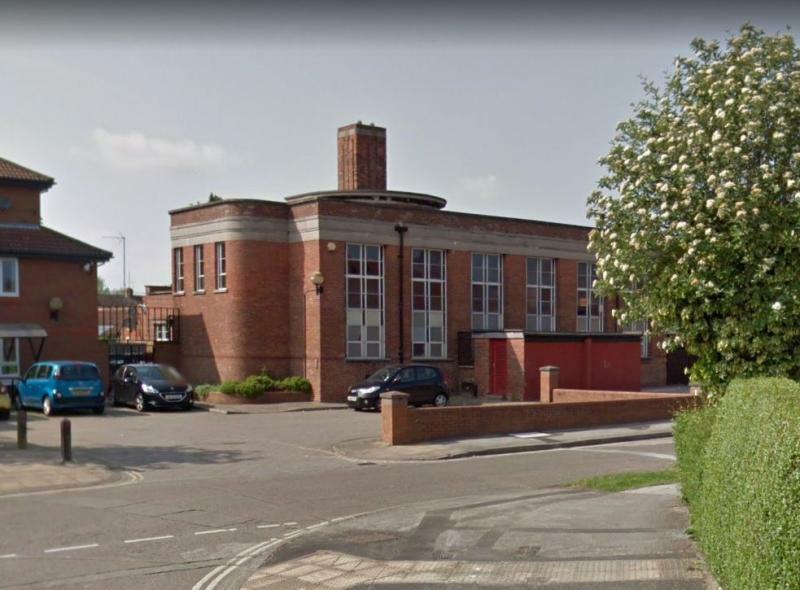 Included in the local list because it represents the 20th Century development of Piccadilly and the River Foss as an industrial and commercial area. As the most recognisable Art Deco building in the City, it is one of a decreasing number of inter-war buildings in York, making a colourful contribution to the Piccadilly street scene. Public house by Samuel Needham for Tadcaster Tower Brewery. 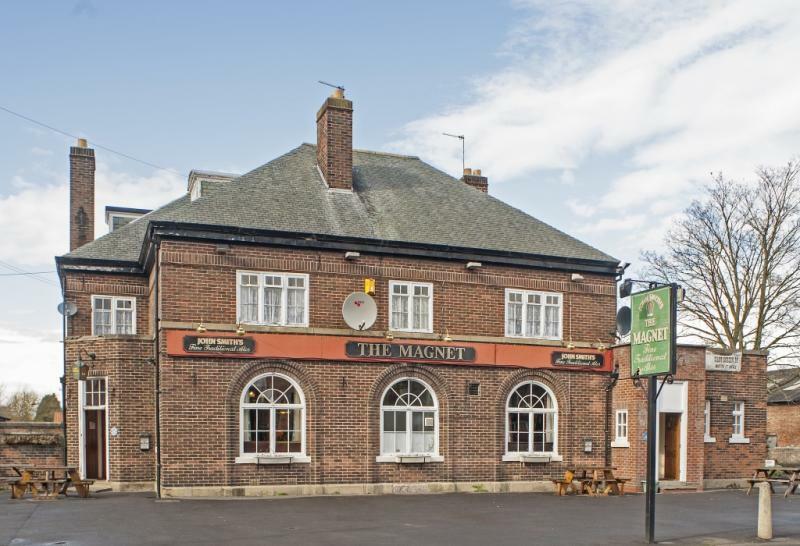 A fine example of a purpose-built Edwardian pub, with its three original rooms preserving their bench seating and other original features. 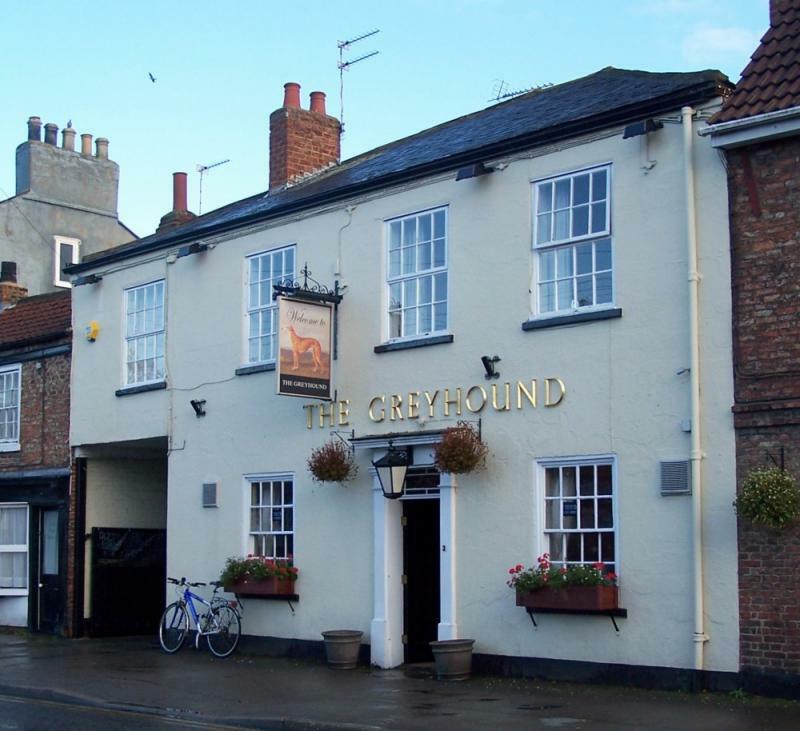 It is on CAMRA’S List of Historic Pubs in York. 1876 Village school and schoolmasters house built in 1876. It served as the village school until 1954 when it was replaced by the Ralph Butterfield school. 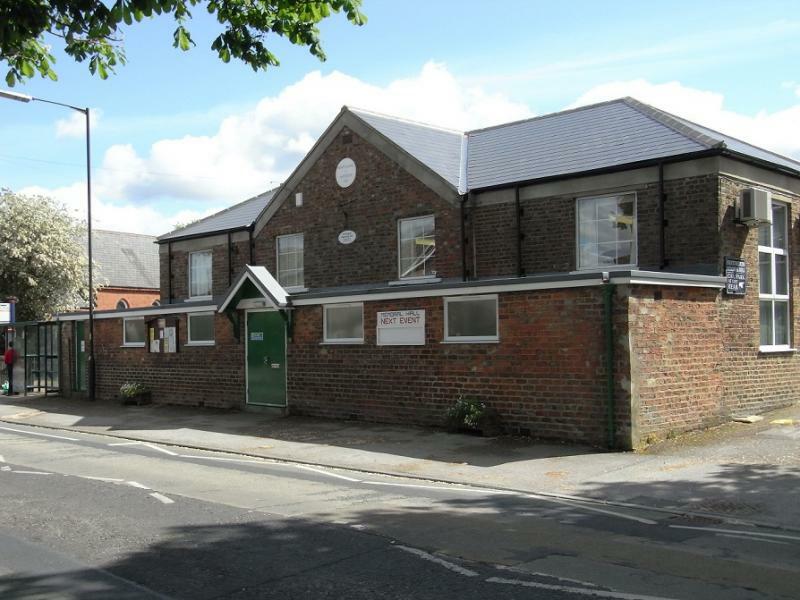 At this time it became the village hall and was renamed Haxby Memorial Hall to commemorate the dead of two World Wars. 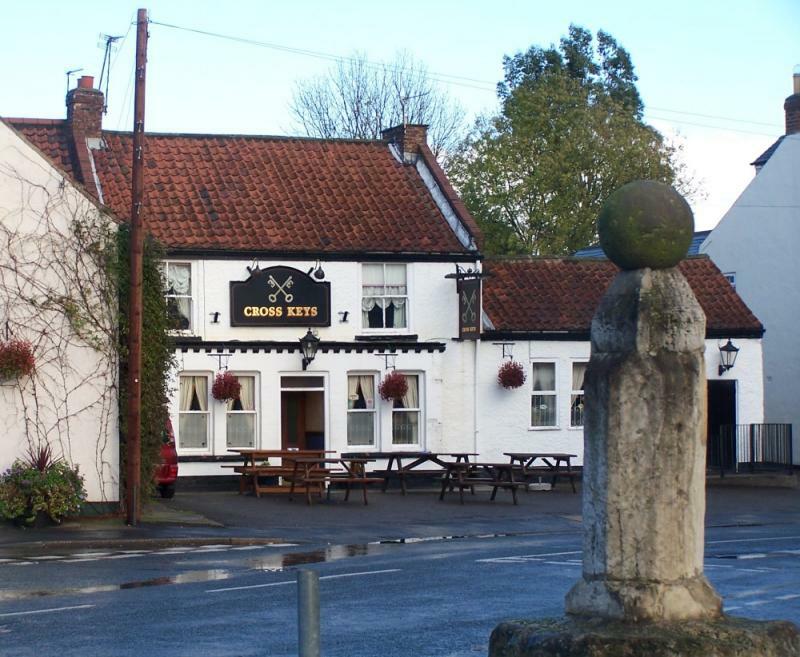 It is important for its contribution to the variety of the village street scene and is one of the individually important buildings identified in the Conservation Area description of Haxby. Included in the list for these reasons; and also as a memorial to those from Haxby lost in two World Wars; for being a tangible link with the Victorian history of the village; and for its place in the social history of the village, recalled with affection and valued by many who attended when still a school. 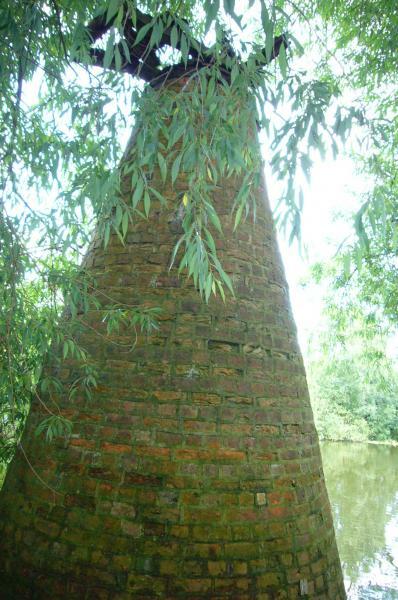 A 20 feet high brick structure with remains of woodwork and iron machinery, associated with the workings of the former brick pond. Of historic interest to the area. 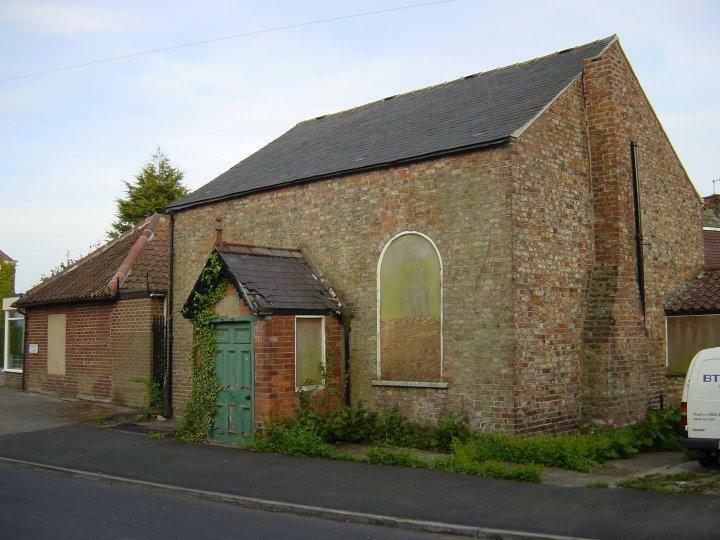 1867 The building is the only remaining evidence of the Primitive Methodist movement in Haxby. Its modest proportions indicate the relative poverty of its members. 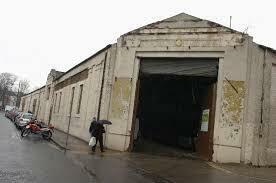 Although large wooden doors have been added the remainder of the building is intact and in good condition. An excellent example of decorative brickwork typical of Primitve chapels. Part of the local street scene. Pair of Georgian cottages with 12 & 18 pane sliding sashes on frontage. Contributing to the street scene in a conservation area. Good example of a Victorian estate cottage with original fenestration, contributing to the street scene in a conservation area. Traditional Georgian farmhouse with 16 pane sashes to front, contributing to the village street scene within the conservation area. 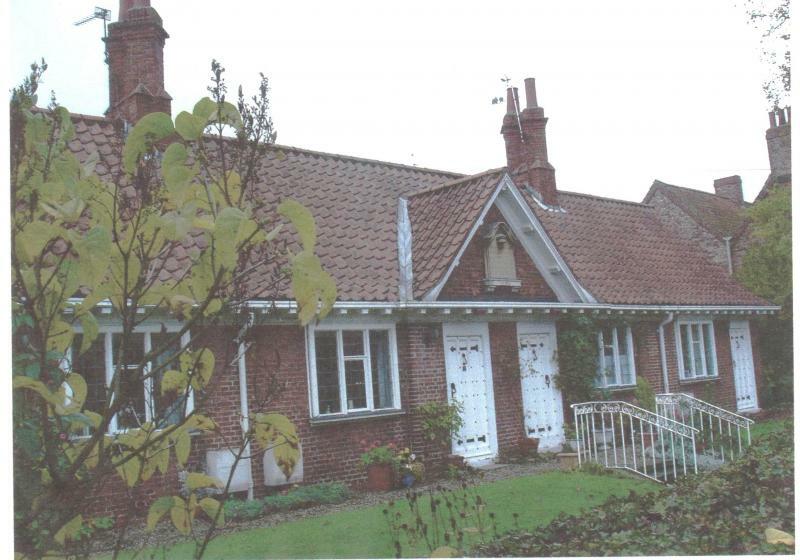 Outstanding example of late Victorian almshouses with very detailed eaves and doors. An important feature of the village street scene. Fine example of Georgian estate house with original 16 pane sashes to front. Contributing to the street scene in village conservation area. 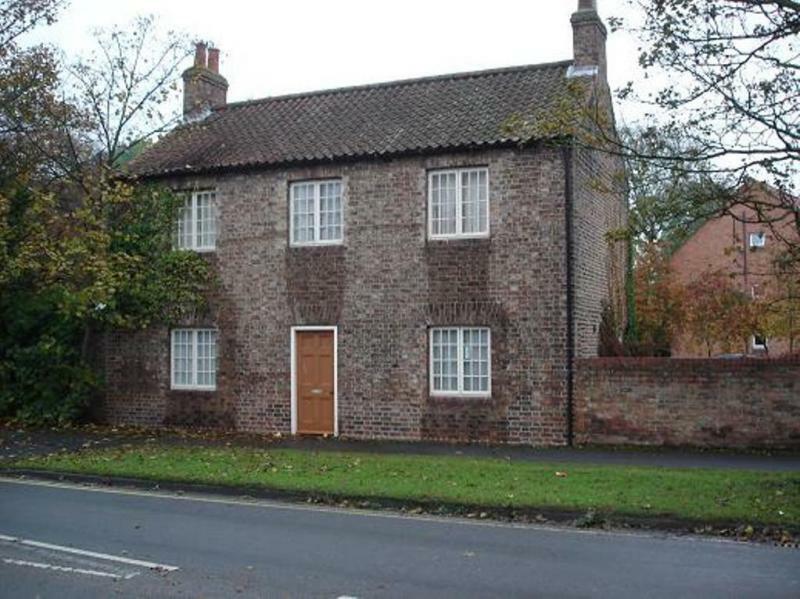 Fine example of Georgian estate workers cottages with original 12 and 16 pane sashes to front. Contributing to the street scene in village conservation area. Traditional terrace of Georgian estate workers cottages with original 12 & 16 pane sashes to front. Contributing to the street scene in village conservation area. Well preserved Georgian (?) house with original 16 pane sash fenestration to front. Contributing to the street scene in the Southern end of the village conservation area. 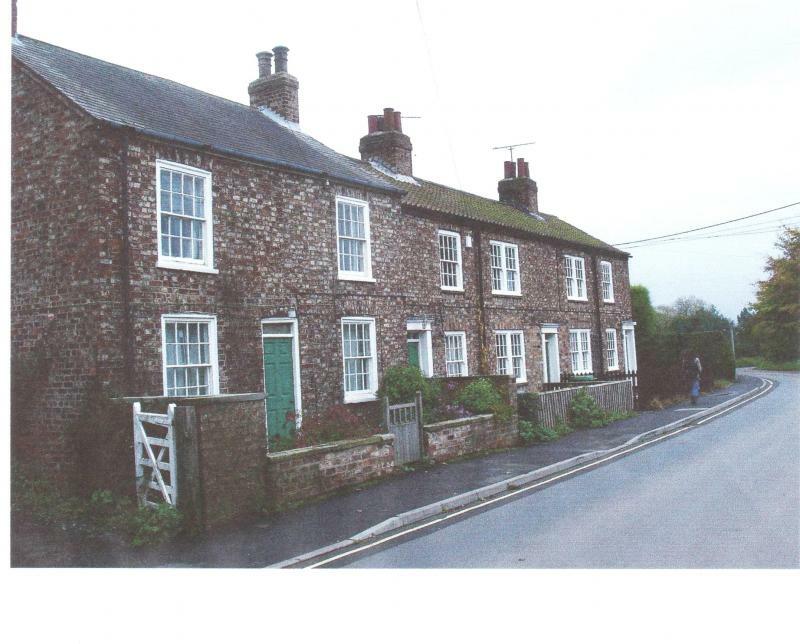 Traditional terrace of cottages with 16 pane sashes to front and contributing to street scene within the village conservation area. 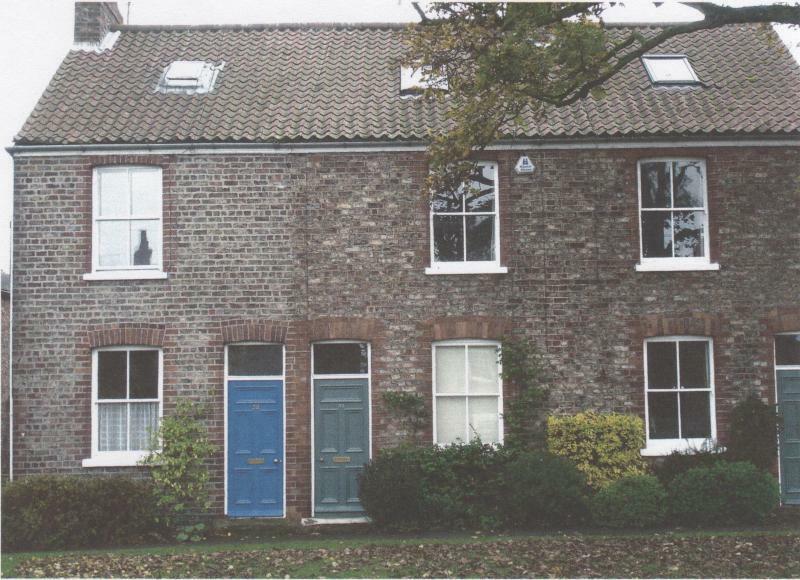 Victorian terrace of estate cottages with original sash fenestration, contributing to the village street scene and conservation area. 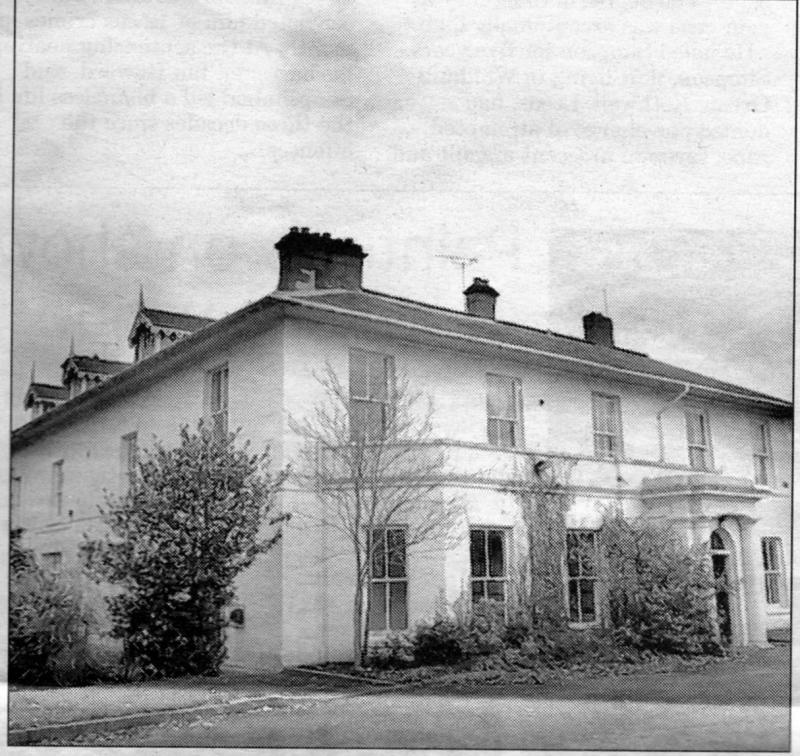 1865 This was the old Heworth Rectory designed by G. Fowler Jones. Representative of a high Victorian Gothic architecture. 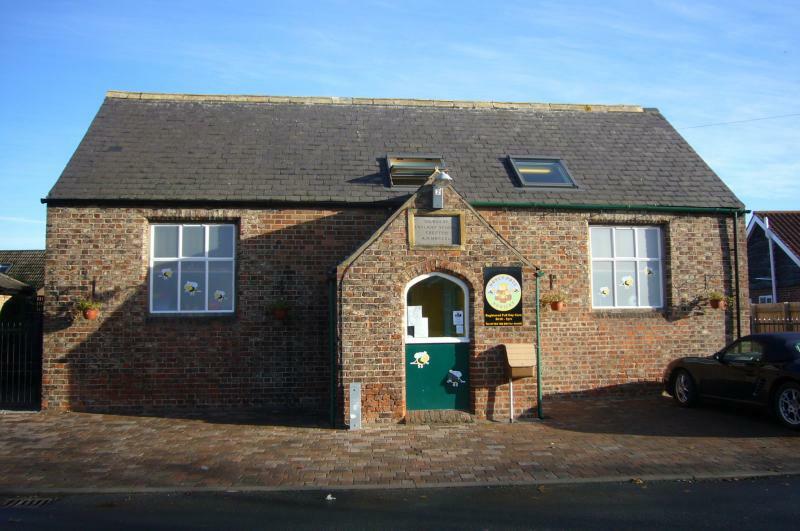 It has had several changes of use including vehicle driving licence test centre and is now a day nursery, showing its easy adaptability for modern use. Last remaining social building in carriage works complex, interesting architecture including ‘oriel’ windows at either end..
1911 Gifted to the City Council by S.A. Rowntree as a green recreation area. It contains a seated garden area and some trees. 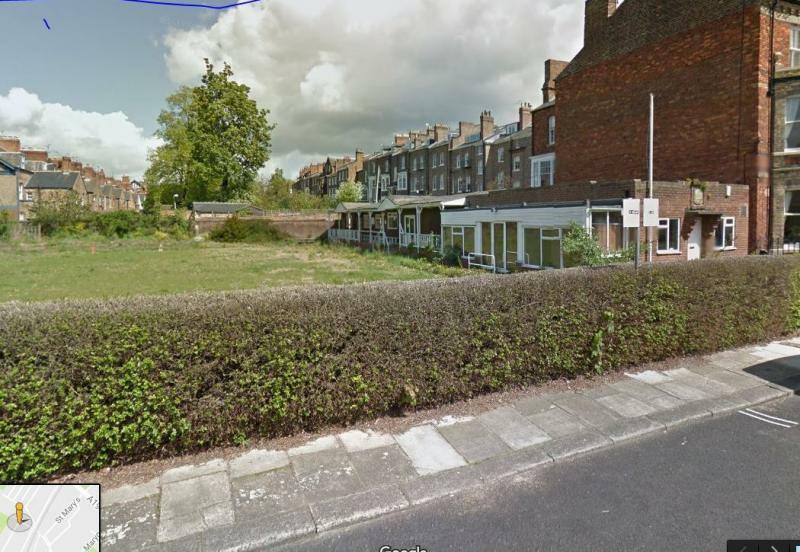 Used by residents of the gardenless local terrace houses and by children as a peaceful area away from the road. Purchased by subscription, an aspect of social history, of architectural interest. 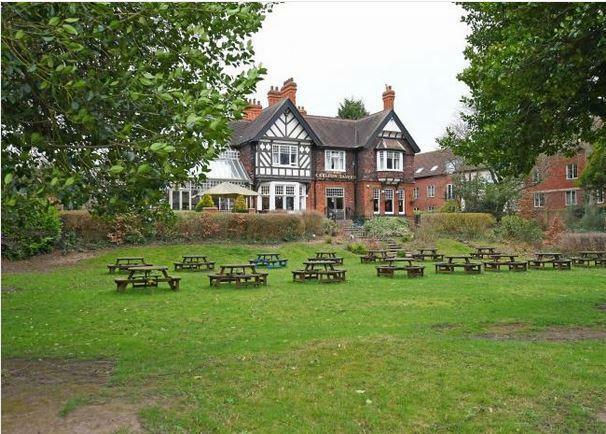 Managed by trustees and volunteers, an important community asset. The Old Board School is one of the oldest public buildings in Huntington. Owned by the Parish Council it is used for a number of activities. Many original features including recently restored stained glass windows. 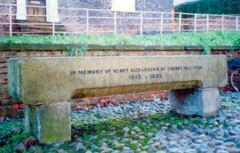 An inscription reads “In memory of Henry Richardson of Cherry Hill, York 1813-1895”. 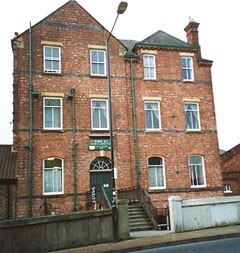 Mr Richardson was proprietor of a tannery on Cherry Hill in the latter half of the 19th Century and a co-founder of York branch of the RSPCA in 1864. In respect of this, on the reverse the inscription reads “A righteous man regarded the life of his beast”. A memorial to a respected pillar of the local community. 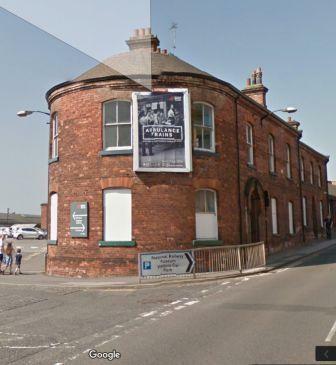 This early 19c pub is the last surviving structure relating to the Clementhorpe shipyard. 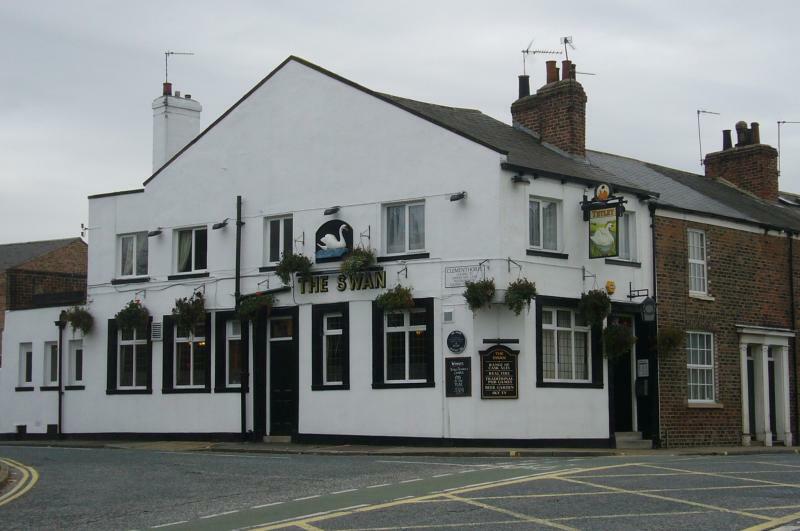 The building incorporates an existing cottage located at the rear of the pub which is also related to the shipyard. 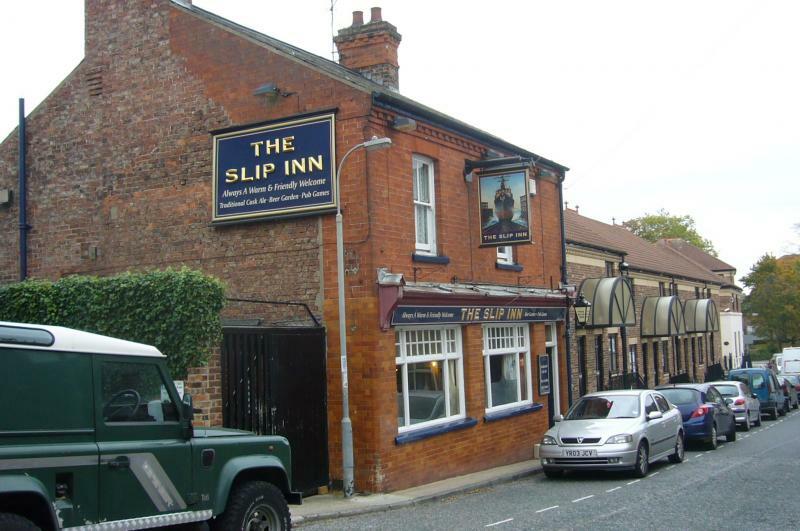 The ‘Slip’ is mentioned in Hugh Murray’s book “Directory of York Pubs” as early as 1843 and is still a vital asset to the local community. 1930’s refurbishment of a local beer house for Tetley’s. Its inter-war layout with central ‘stand-up lobby’ and separate bar and lounge at either end, served from the central servery, is a rare survival. 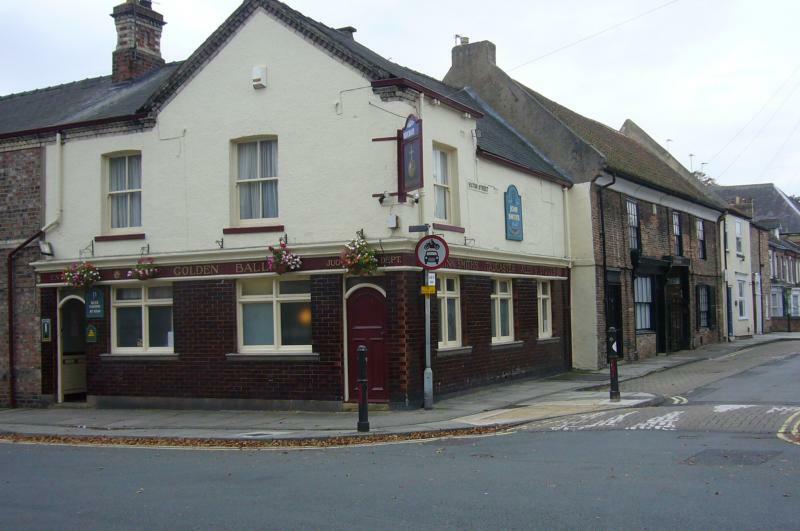 A Tetley Heritage Inn, and one of three York pubs on CAMRA’s National Inventory. This was a pleasant path laid in diamond pattern sets, right alongside the river at a similar level to the lower path on the opposite bank at New Walk. 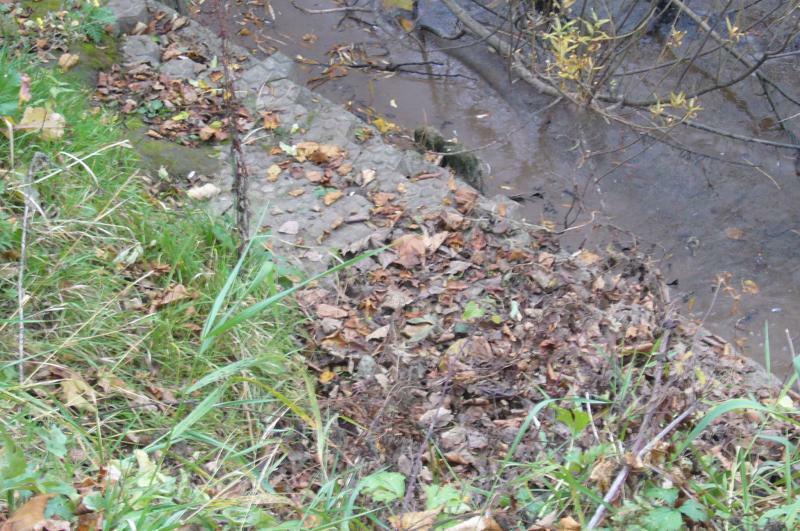 Bank slippage has obscured much of it and part is concreted over. Part of the New Walk/Terry Avenue Conservation Area. Two parallel ranges adjacent to the Railway Institute, constructed as Locomotive Erecting Shops for the North Eastern Railway Company. The block nearest the RI incorporates the remains of a North & North Midlands wagon repair workshop of the 1840s. 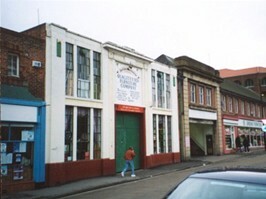 This was extended in the1850s and a smith’s shop added, to provide workshops for the newly formed North Eastern Railway Company. 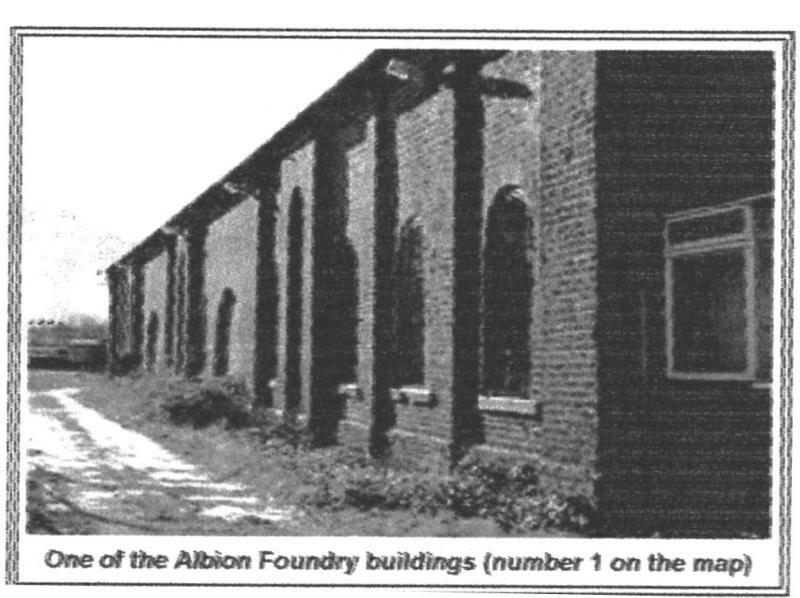 Around 1884 the building was raised and converted to provide the No.2 Locomotive Erecting Shop where the locomotives were repaired and sometimes constructed. 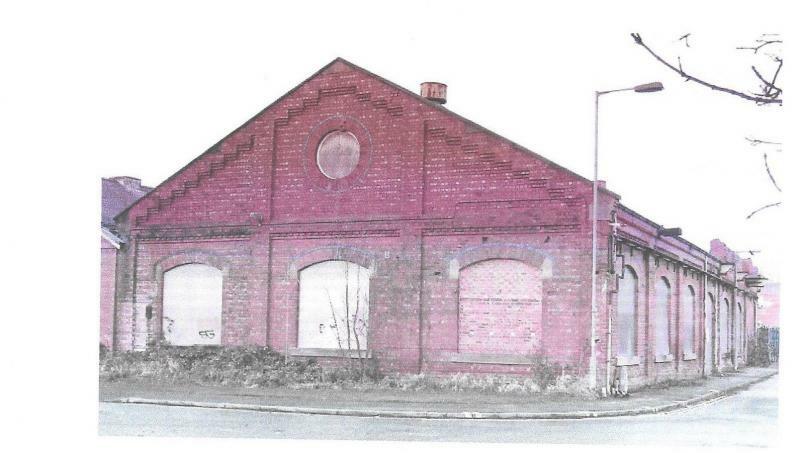 The second block was purpose built as No.1 Locomotive Erecting Shop in 1879. York Railway Institute built in 1889, “to convey information and spread education on a variety of subjects”. From the beginning, it has offered educational facilities for railway employees and has fulfilled a social and welfare function by providing accommodation for a wide range of recreational activities, associations and clubs. It is included because of its unbroken connection with the railway history of York and for its important contribution to the education and wellbeing of the railway work force and the wider public in York. Almost contemporary with the building of the present York railway station, it forms an important part of the setting of this grade II* listed building. View on map Between 1875 & 1892 Shunter's cabin associated with the use of the Old Railway Station for carriage storage after 1877, and later the locking fitter's cabin. With the Old Railway Station it is indicative of the alignment of the original railway and reflects later arrangements after the construction of the New Station. Together they have Medium evidential & Low Historical significance. 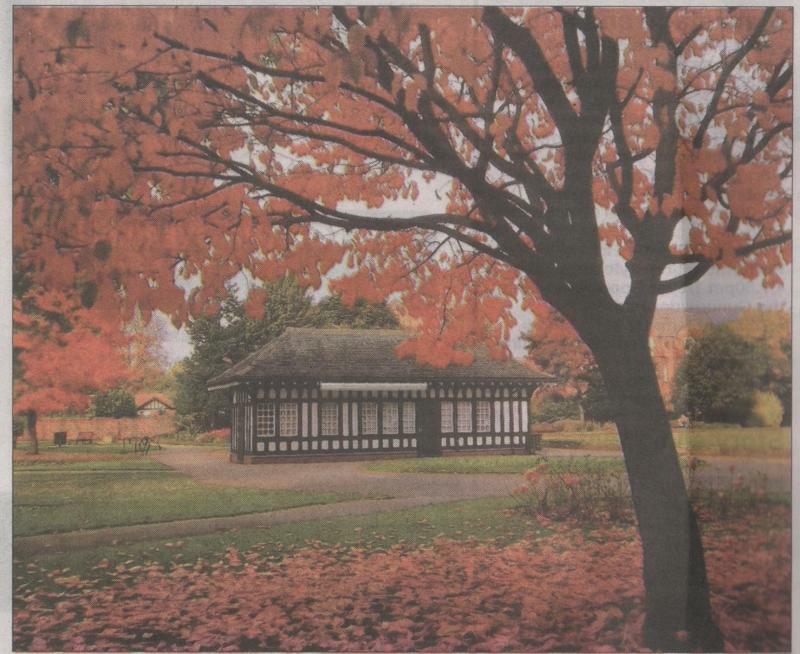 Probably designed by Fred Rowntree who made the plan for the layout of the Park. The building occupies a prominent position from where the resident park-keeper was able to supervise activities in the Park. 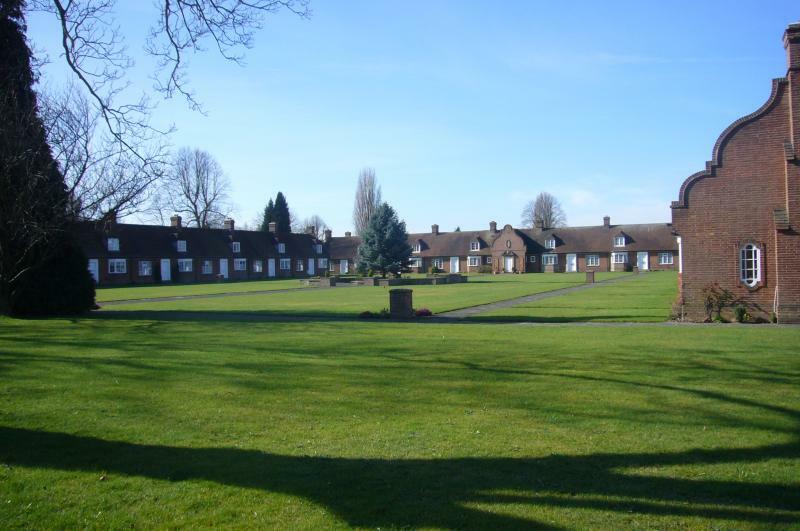 Together with the nearby bridge over the lake and the dovecote memorial, the Lodge creates an important group forming the nucleus of the Park. Part of the group with the park-keepers Lodge and Café, and the Bridge at the core of the Park. 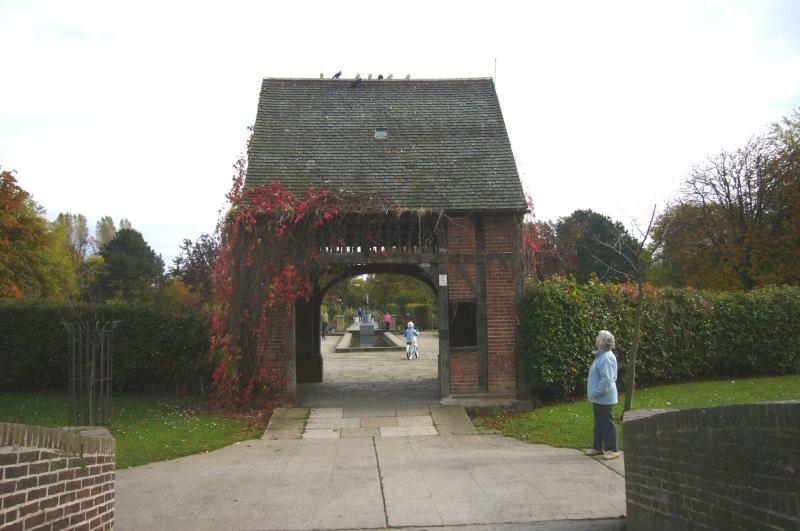 The Dovecote contains two memorial plaques. 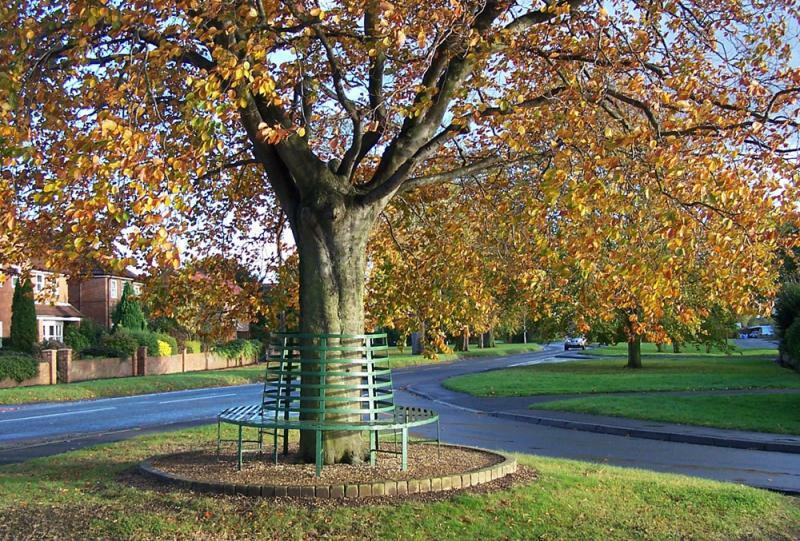 One commemorates the gift of the Park to the citizens of York by the Rowntree Cocoa Works “as a tribute to the memory of those of the Company’s staff who servrd their country in her hour of need” during the First World War. The second one records the gift of the gates on Terry Avenue as a memorial to “those from the Cocoa Works who lost their lives in the Second World War”. It is occupied by a flock of white doves descended from the first doves introduced in 1921. The existing building has a memorial stone of 1900 dating from the time it was constructed as the South Bank Mission Chapel. 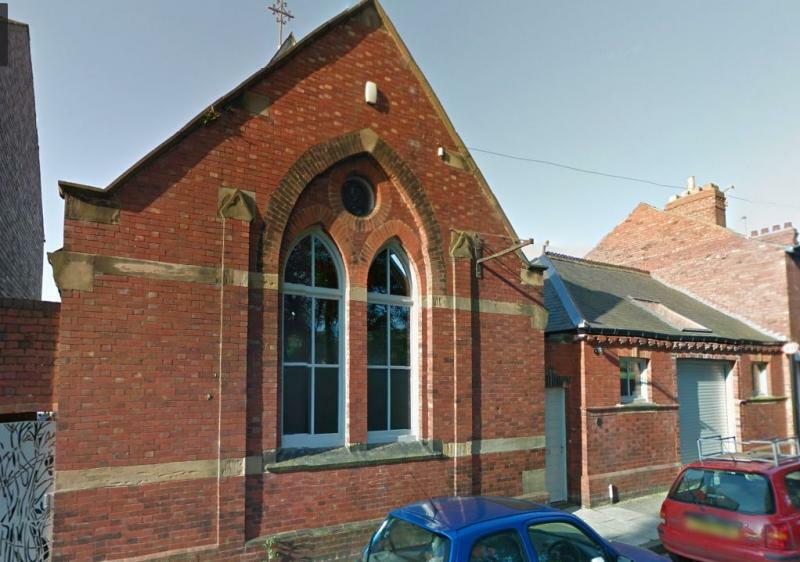 This was an outreach centre from the larger church of St. Clements , Scarcroft Road. 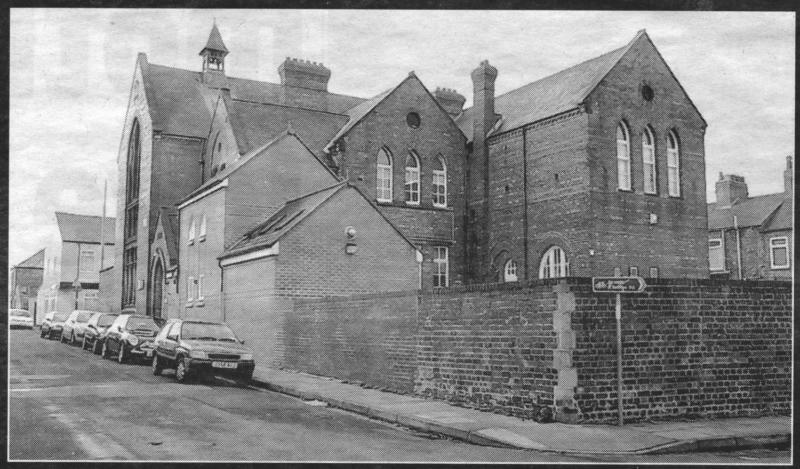 It was a multi purpose building functioning as a place of worship before the construction of St. Chad’s (1925/6), as a temporary school by 1906 and a Sunday School 1931. Similar in style and materials to St. Clements though plainer with simpler detailing. The building has local historical significance as an indicator of the early 20th century development of South Bank. Architecturally it is a typical building of its age, with some attractive design touches. More importantly it adds variety and depth to a context of terraced housing. A significant building of local visual, historical and architectural interest. 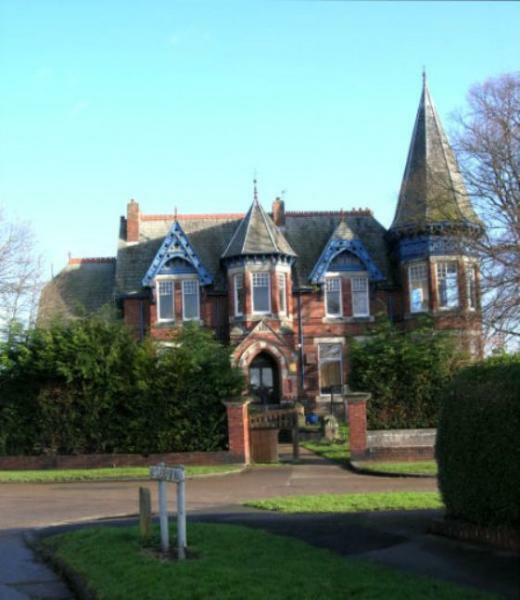 Victorian villa named West Garth originally owned by the Russell family. From 1945 to 1970 it was the Godfrey Walker Children's Home. 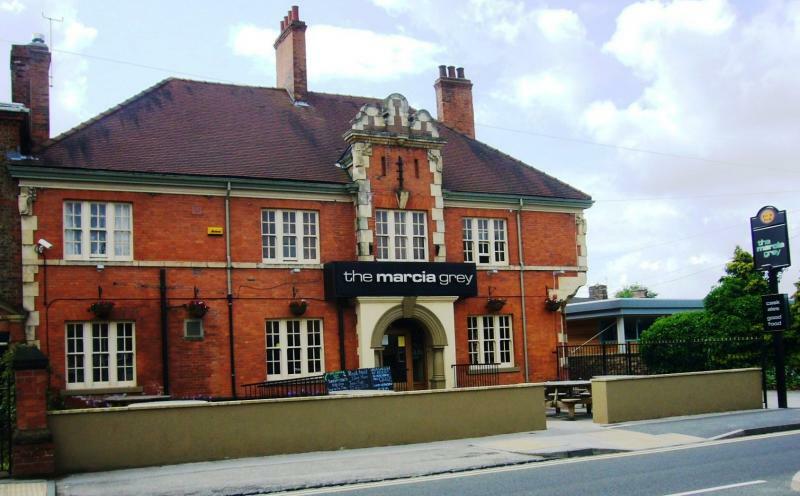 It became a hotel and in 1993 was bought by Marston's Brewery when it became a public house. 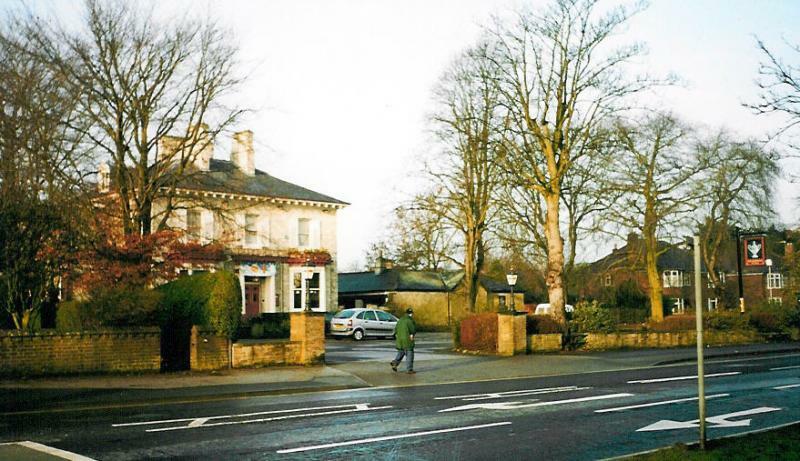 One of very few remaining buildings from this era in Acomb. Architecturaly impressive. Its loss would diminish the character of the area. Pre 1852 Magnesian limestone, possibly once inscribed near the corner of the Marriot Hotel boundary wall. Other boundary stones in the vicinity are EH listed. 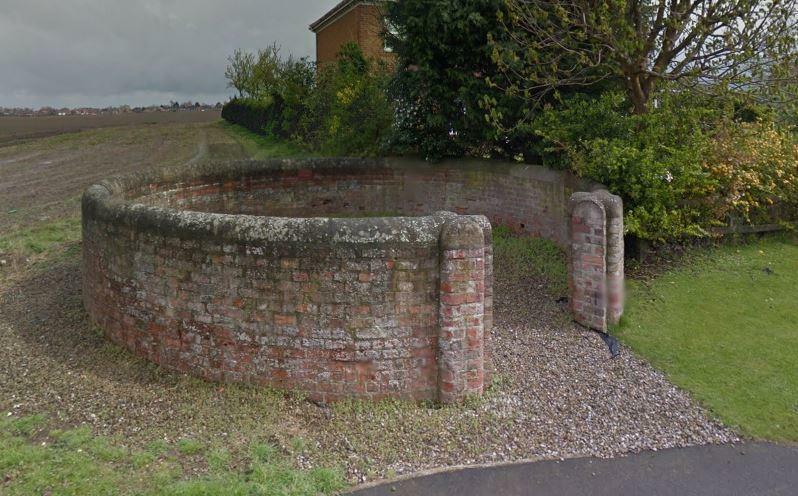 View on map c1830 Remains of the original fence and gateposts at this EH listed building. In place before Knavesmire Road was opened. View on map c1939 A reminder of the last War and one of very few remaining. 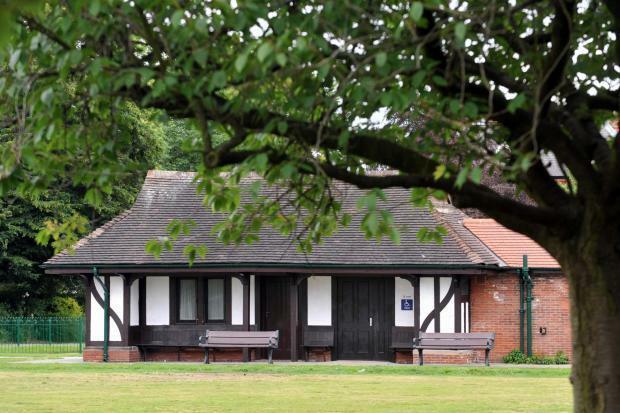 Now used as a cricket pavilion and changing room and therefore serving a useful role for the community. 19c A relic of the times when horses and cattle grazed this part of Knavesmire. There is no inscription on it. Public house, built in 1934 John Smith’s Brewery architect Sir Bertram Wilson. 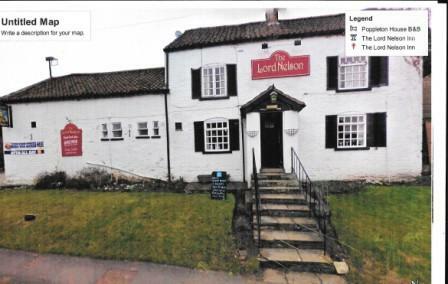 Nominated for the Local List by CAMRA because it is the best surviving example in York of an inter-war ‘Improved’ pub, purpose-built to serve the surrounding new housing estate. 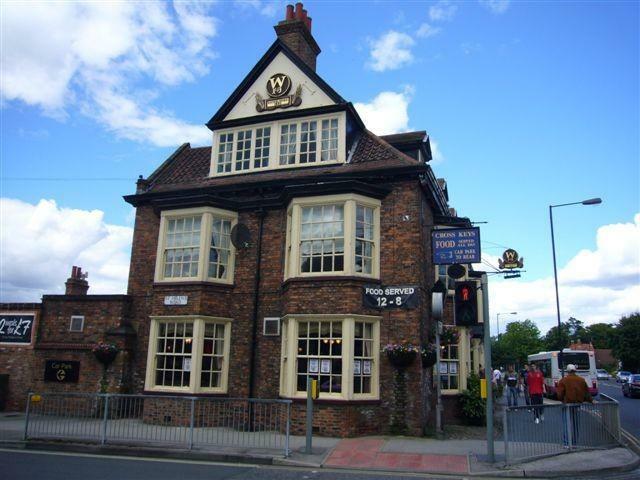 CAMRA comment that the snug has its original furniture and is largely unaltered; the Bar notably retains its arched back fitting and bench seating; while the Lounge, though altered, retains original woodwork beneath modern veneer. Also of particular interest is a glazed dividing screen and tilework to an obsolete outsales, and tilework in the Gents toilet. 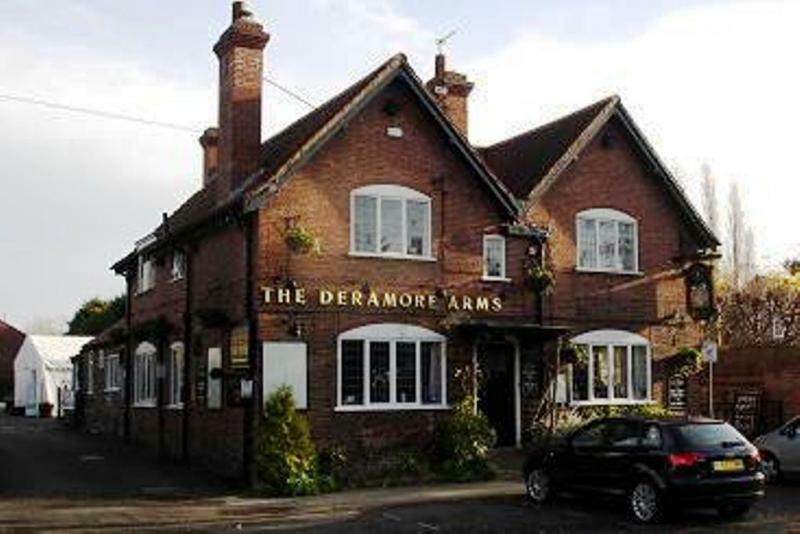 Housed agricultural tradesmen serving villages four farms. Blacksmith etc. Dovecote in the gable end of the Old Barn. Dated to late 19thC early 20thC. It survives complete and retains its interior with nesting boxes intact. Included in the Local List as a rare survival of a one common component of a fully developed farmstead. As a feature in the farmyard, it is much valued by residents in the village. 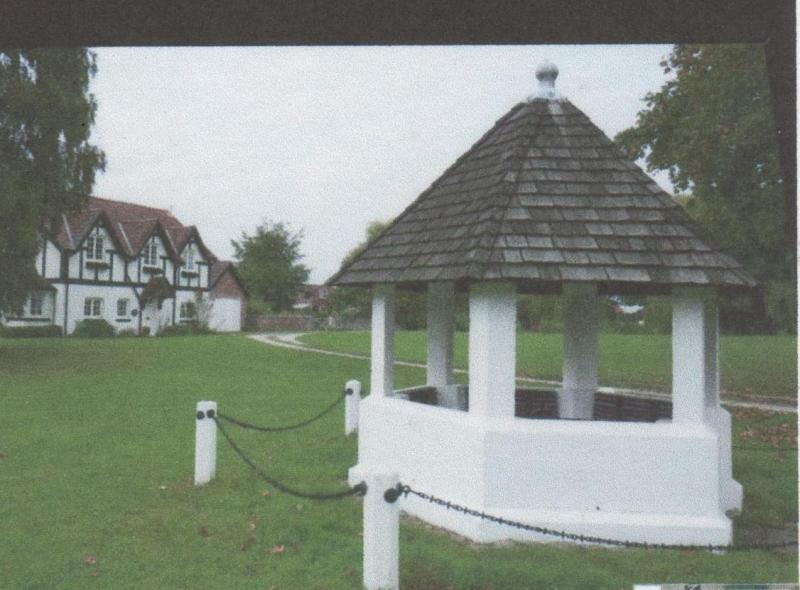 Roof supported by 4 pillars over tap (originally pump) on village green erected by the owner of Askham Grange. 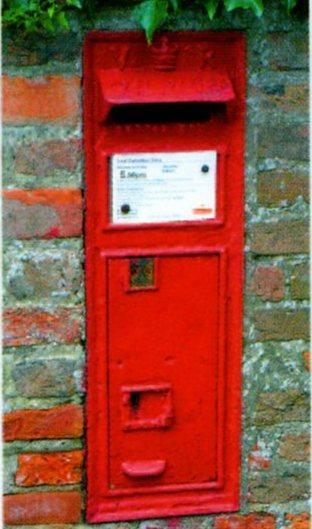 Typical example of its type, would have been common to the area but now increasingly rare. Coarse cobble layers with herringbone laid bricks topped by rounded coping stones. 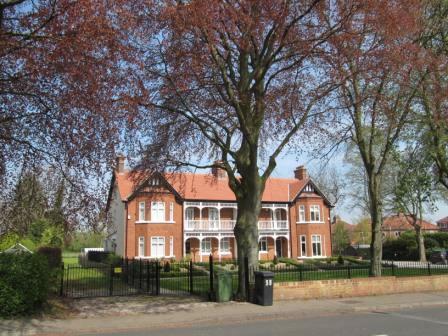 1900c House of unusual style built at the same time as the school to house the Headmistress. Part of the Social History of the village. 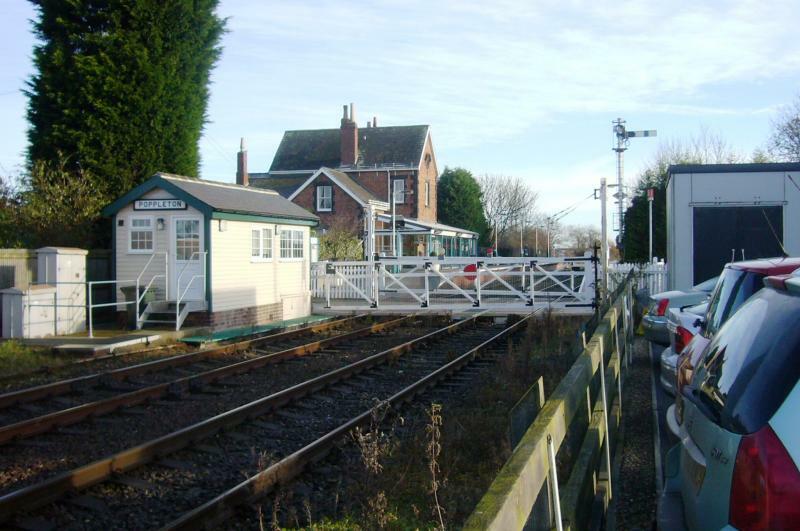 1860’s Preserving a remnant of railway history and the village’s links with the development of the railway network. 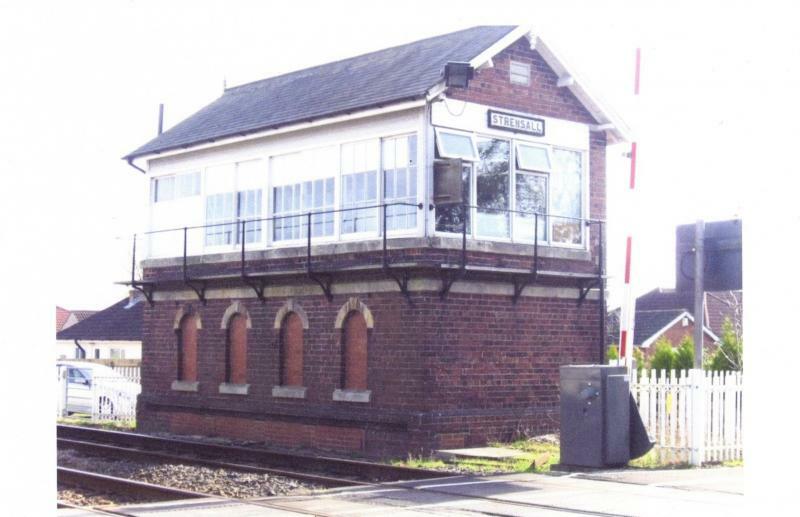 1860’s A remnant of railway history and the villages’ links with the railway network. 18 &19C Preserving an interesting example of 18th & 19th century brickwork within one building. 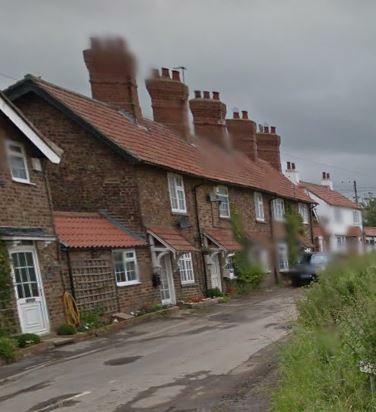 The 18thC pantiled roof and wall visible from Back Lane is part of the street scene. Forms part of a bat flight-path. 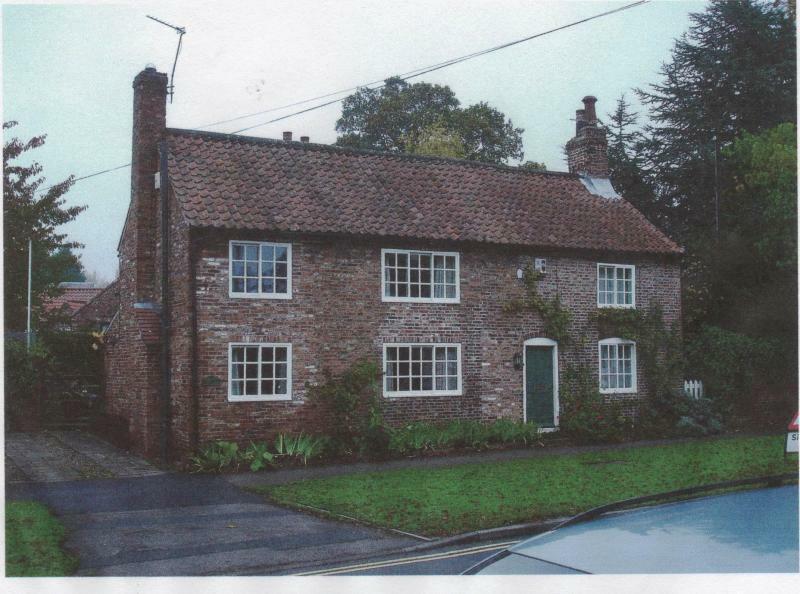 Circa 1740 Possibly of Listed Building status? 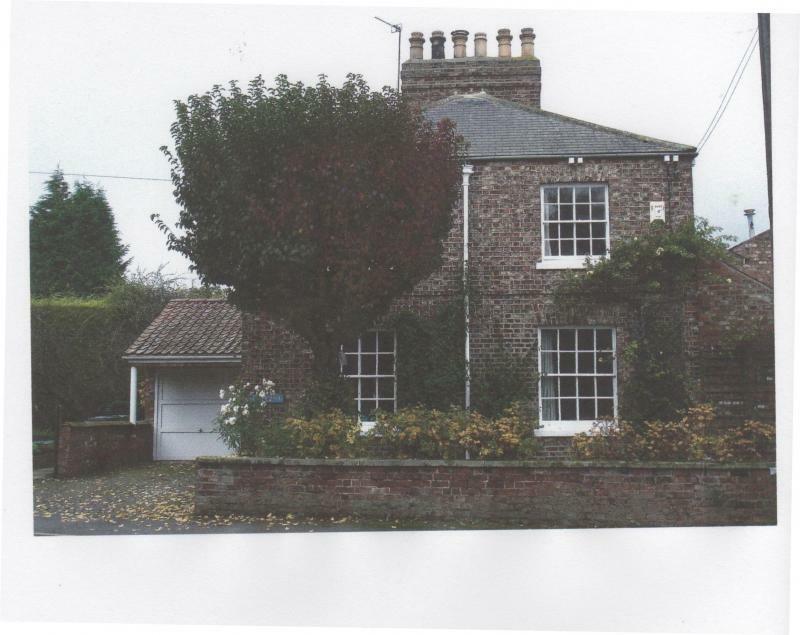 A fine example of a farmhouse of this era and an integral part of the Low Green area. 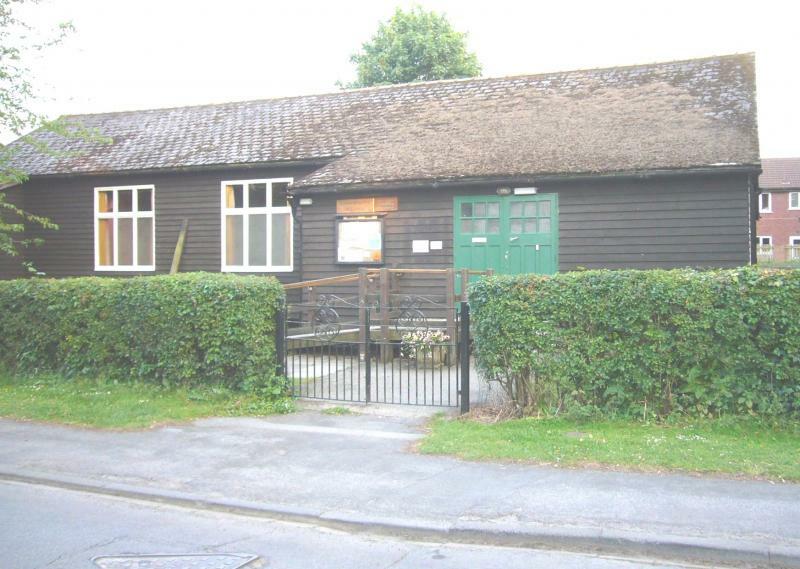 As the meeting place for the W.I., village playgroup, drama group etc., it is an important venue for village activities. It plays a vital part in village life. 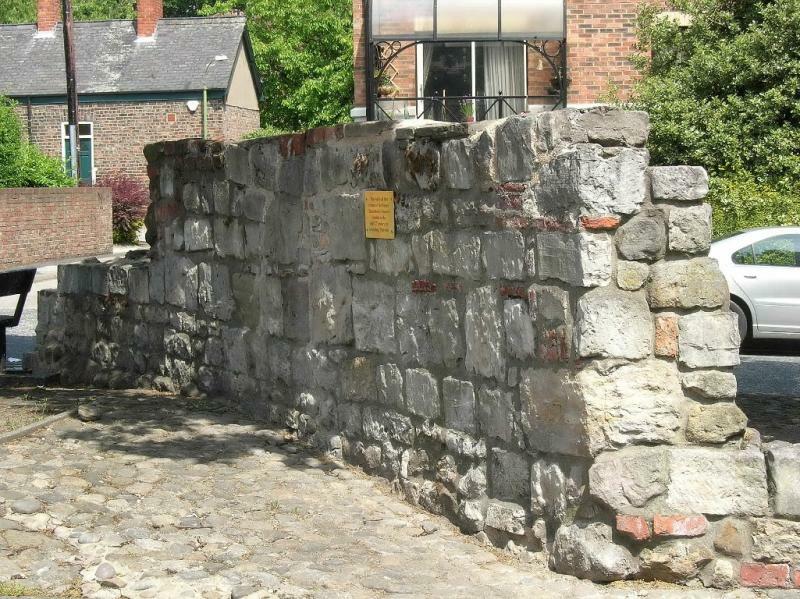 A garden wall which is part of the street scene in a Conservation Area. The house is listed. 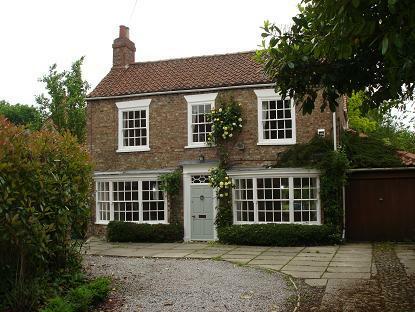 18C A fine example of an 18C dwelling house which stands in the heart of the village Conservation Area. 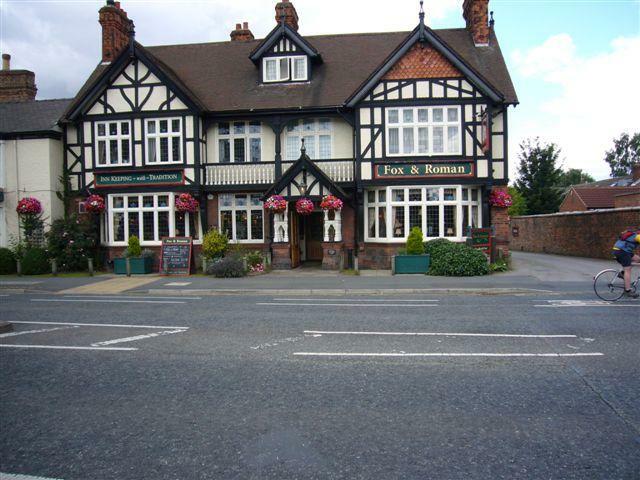 A good example of a typical English pub. Too many of which are being lost. 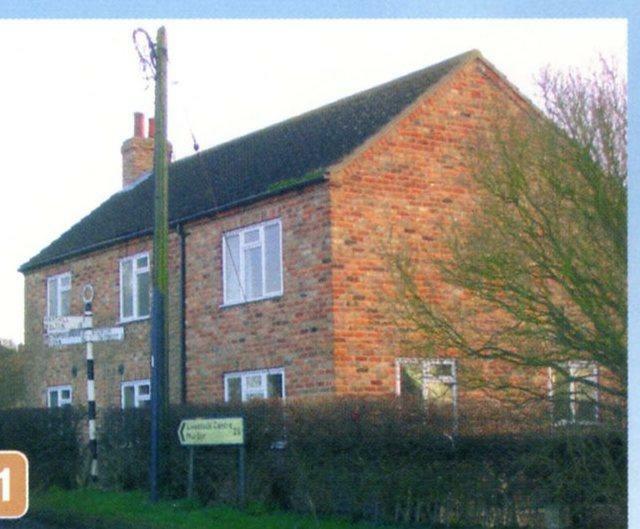 Former uses were as the village smithy and a brew house which together form the original village core. 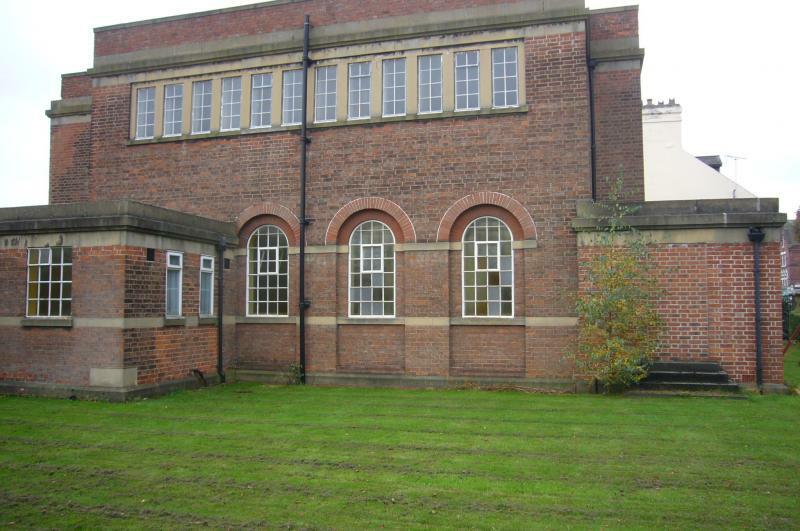 Originally a school opened by the Dodsworth Trust. John Dodsworth was an iron merchant in York, City Councillor for Walmgate Ward, and Sheriff of York, 1787/8. 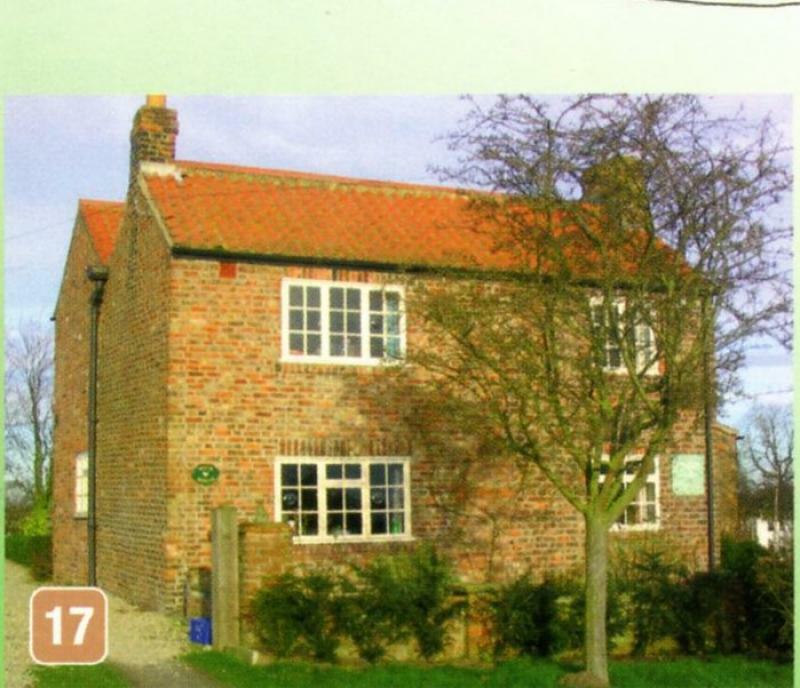 He lived in Poppleton and was best known as a founder of schools. 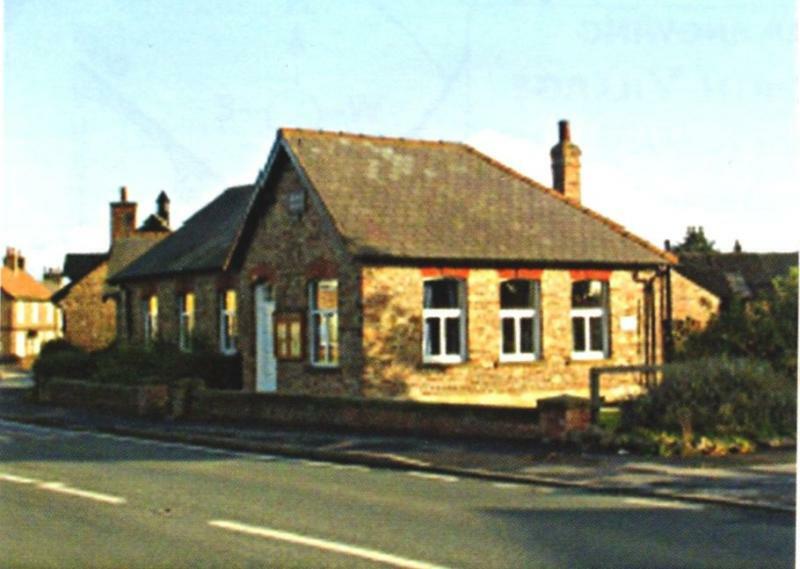 When a new school was built in 1894 the Hall was used as a Sunday School and until recently a village hall much appreciated by the people of Poppleton. It is now a children’s nursery. 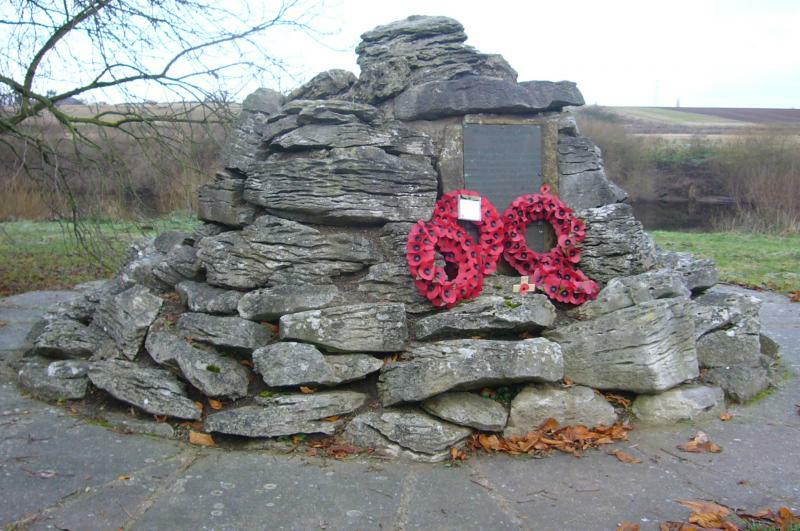 A constructed pile of uncut stone with bronze name plaque sited above the river. This unusual style is one of only two in the country. It is part of the Village history and the focal point for Remembrance Day Part of the village street scene..
One of two distinctive square farm houses built by the Middlewoods and adding character to the village scene. Land purchased by George Middlewood 13 Feb 1855. 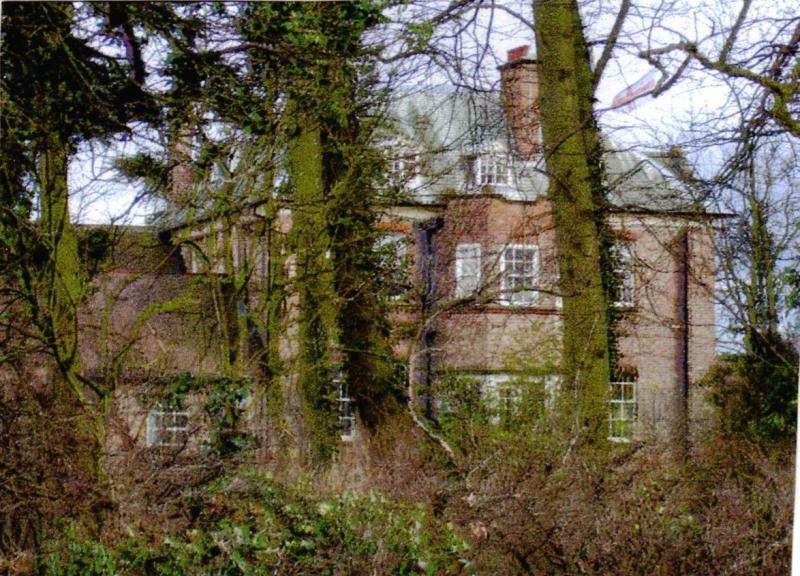 This large imposing house was a family home until 1919 then sold to Captain Dorrien Smith. 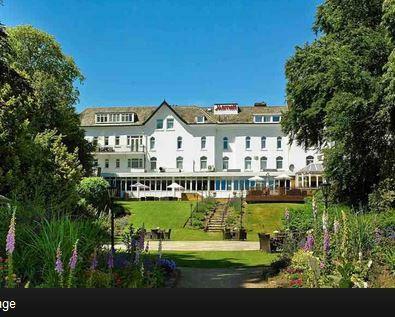 Home to a series of senior military officers to 1976. now in private hands. From the 1970's to the 1990's it was the General Accident Sports 7 Social Club. 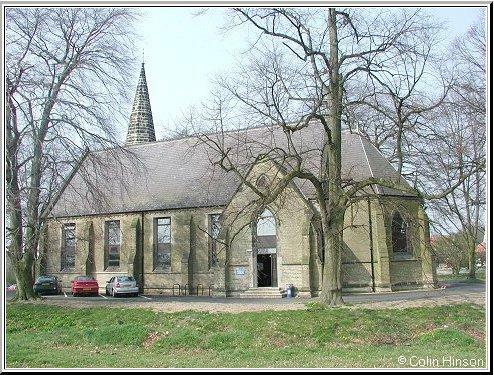 Built by Emma Middlewood for use as a village hall. 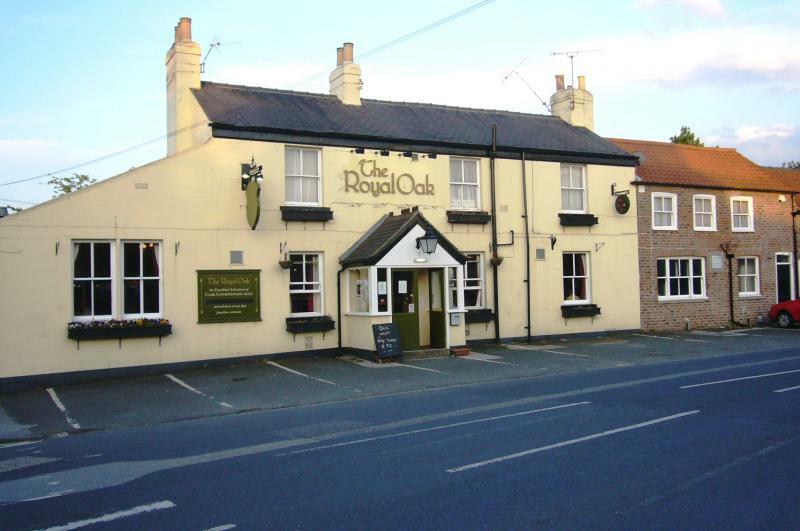 In a prominent position in the village and well used by numerous local clubs and societies. 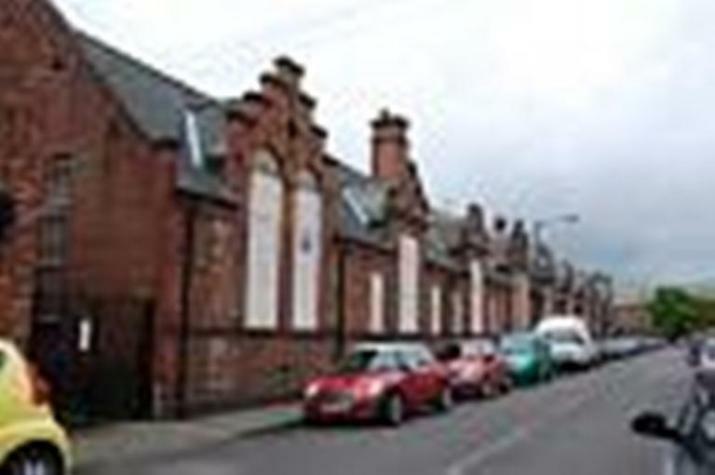 A community asset. Set out to replicate the wartime Rufforth airfield used by Halifax bombers. It includes a water pump and trough which are already listed. 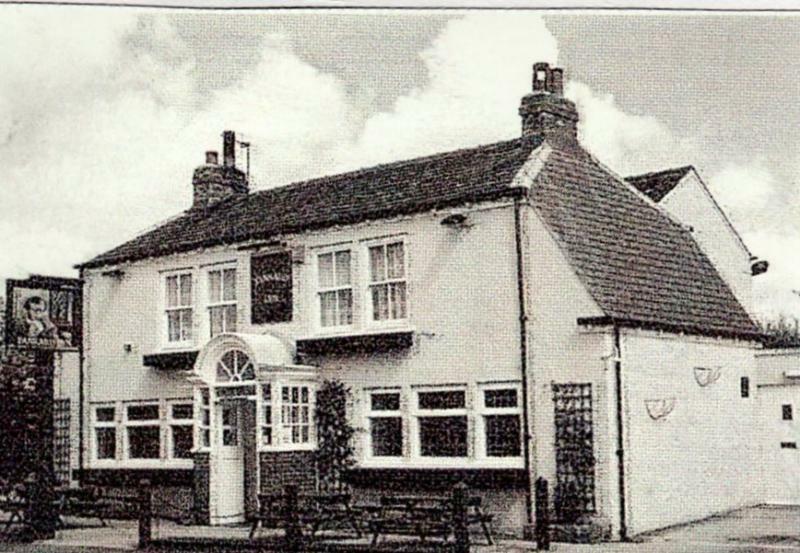 The only public house in the village it was remodelled in 1937 for Samuel Smith’s Brewery by Leeds architect H Lane Fox. The central corridor was enlarged into a Public Bar and a ‘Tudor’ interior of modest design and homeliness. Matching , 3-light leaded windows in both the Public Bar and Lounge set the thirties tone. The wood panelling, bench seating, curving bar counter and contempory doors, most elements of the pre-War refurbishment are carefully preserved. A community asset. 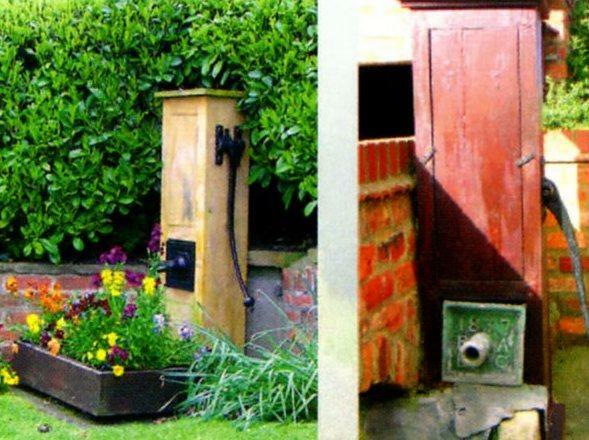 A cherished feature of Rufforth village, complimenting the Village Garden and pump. 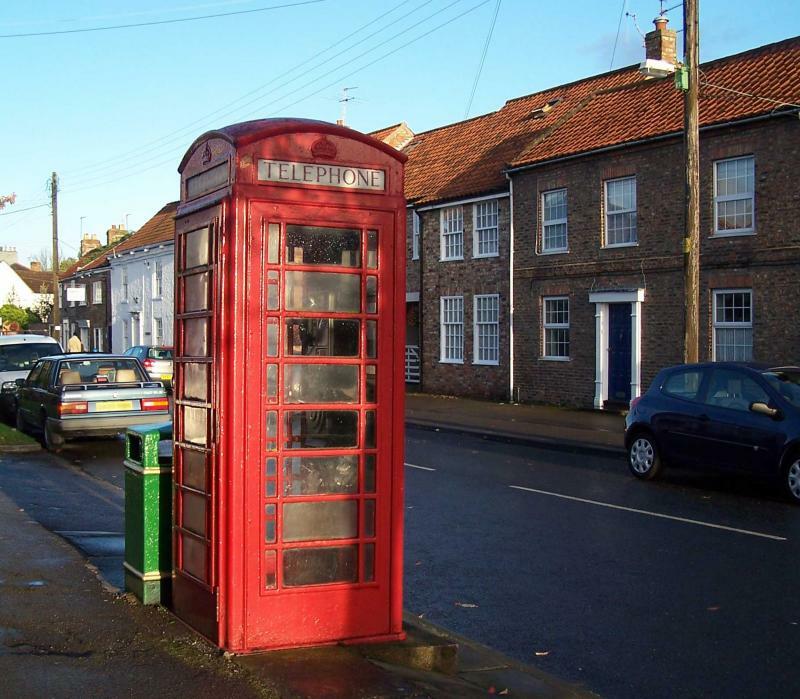 A fine example of a K6 design rapidly disappearing from the English street scene. Awarded to the village by the introduction of the Enclosures Act for use as a watering place. 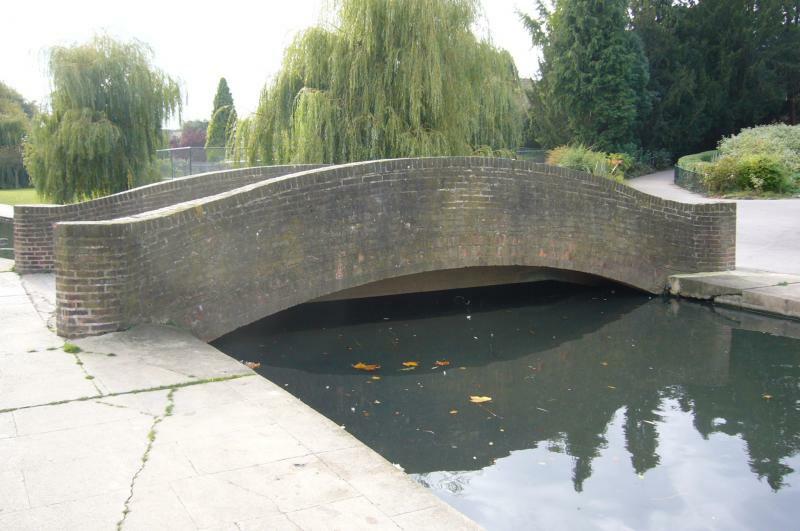 Possibly originally a fording place, (Ruff Ford) Restored in 2002 with funding from Yorwaste and help from BTCV. 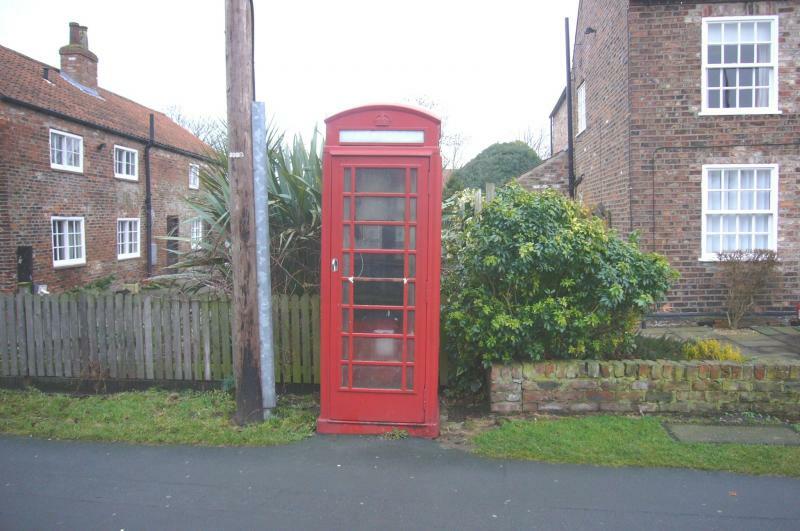 A surviving relic of Rufforth’s early years as a farming village. Wandering stock were held here until farmers paid a fine to get their animals back. 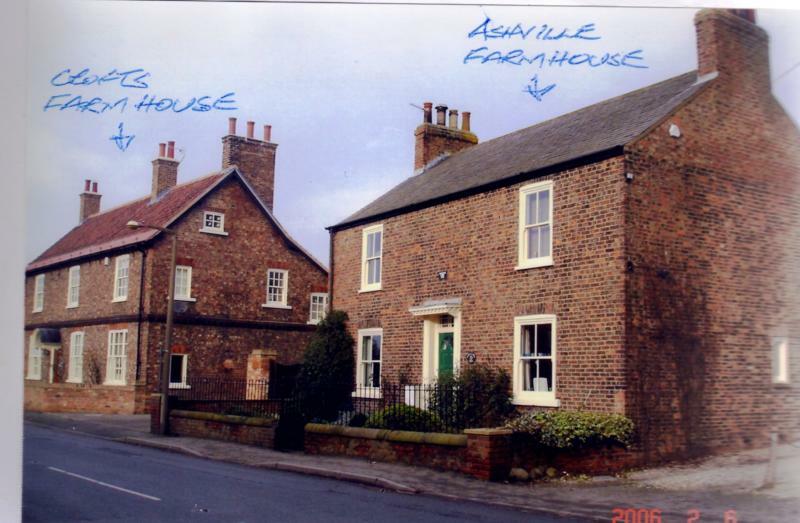 Possibly the best example of a Victorian farmhouse in the village .It dominates the façade along the East side of the villages main street and compliments the buildings on either side, enhancing the street scene. 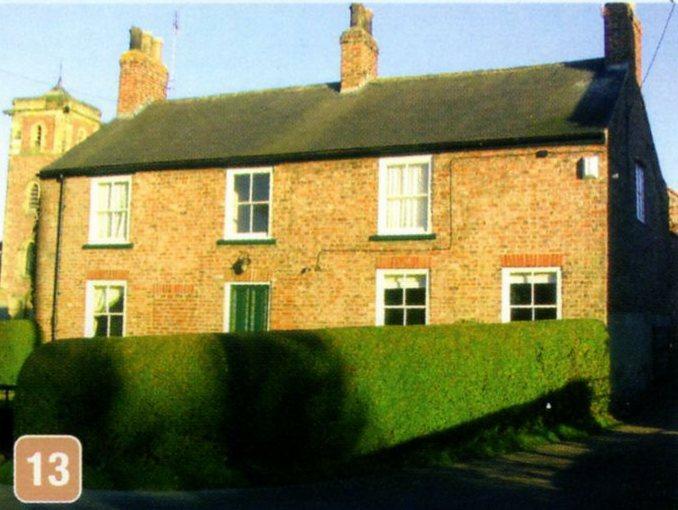 Probably the oldest example of a Victorian farmhouse in the village. Together with Crofts Farmhouse it is a striking feature of the Main Street scene. 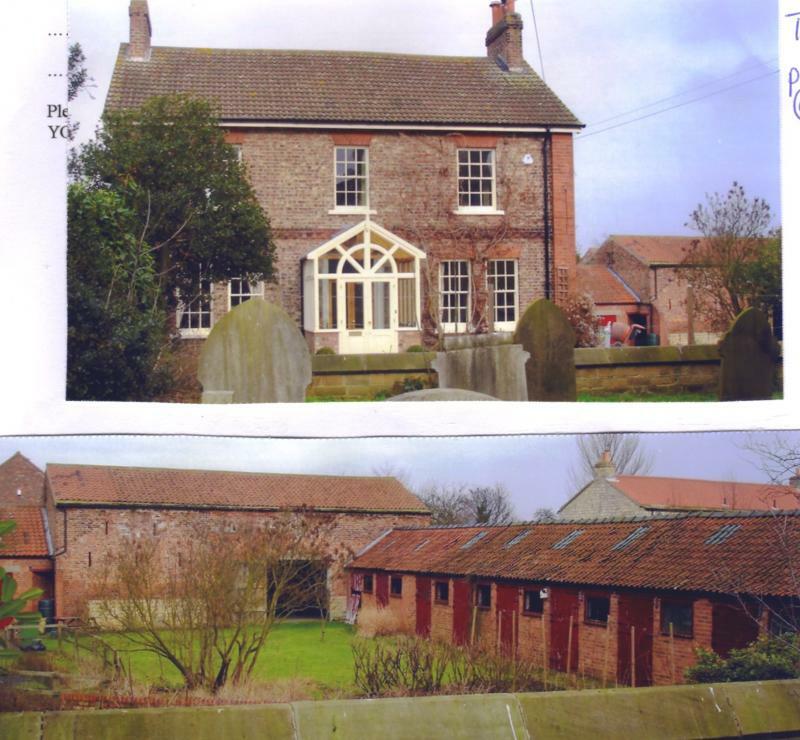 A fine and rare example of a traditional Victorian farmhouse and its associated brick built barn and stable block. 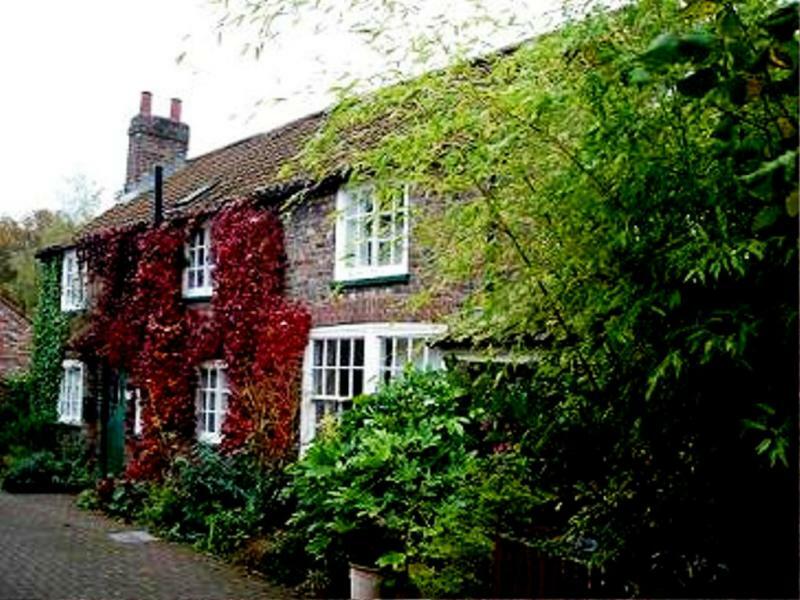 A very fine example of a Victorian farm cottage, with red pantile roof. Once the site of the village Post Office. The first photographic evidence of this building is dated 1904. It is said to be built from the limestone arising from the demolition of Rufforth windmill which was situated near Rufforth Hall. Rumour says the windmill spoiled Mrs Middlewood’s view. A Tadcaster limestone built barn. Part of the farm buildings of the EH listed Peartree Farm. Built following the repeal of the Corn Laws. Former farm (1810) extended to accommodate a collection of paintings for John Burton many of which were bequeathed to the City and now hang in the Art Gallery in Exhibition Square. Sir Robert Newbold Kay, Lord Mayor of York 1924/25 was also associated with the building. 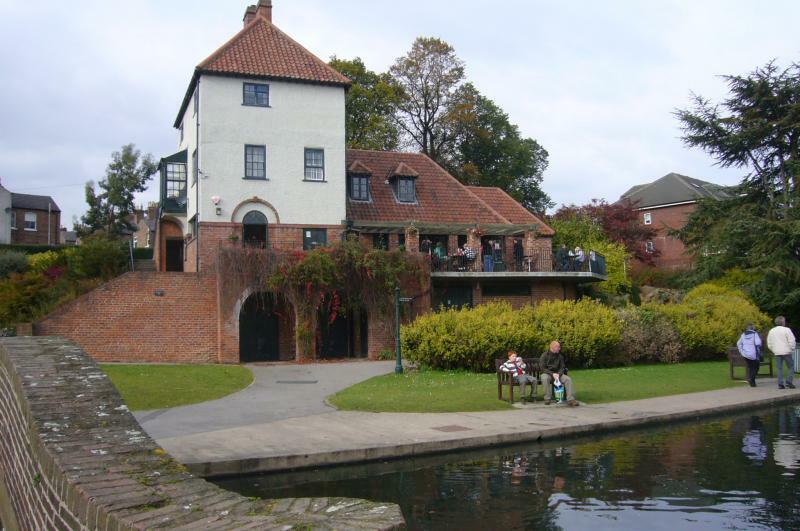 Home to the first pre school Play Group in York in 1964. A chapel built for the use of patients in the North Riding Asylum by architects Gould & Fisher, described in The British Architect journal 1874 as "A handsome and convenient chapel" Damaged during WW2, some fittings and the East window were replaced and re-dedicated 1948-1950. 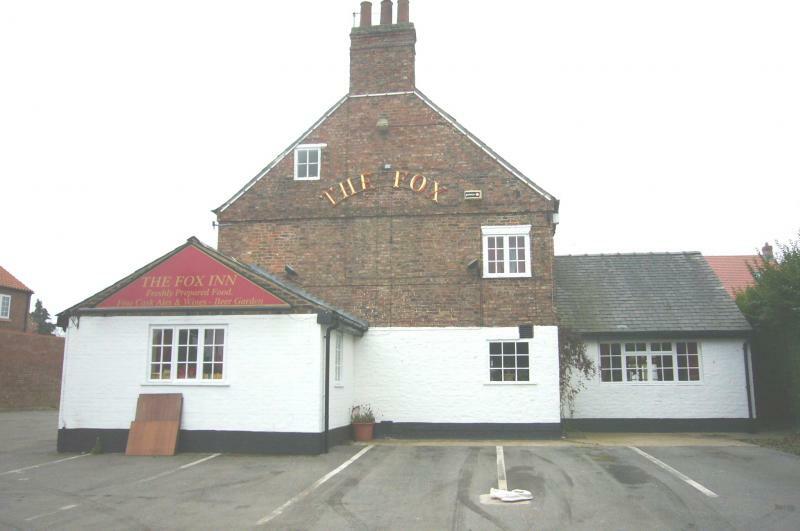 An important landmark across the flat lands of the ings. 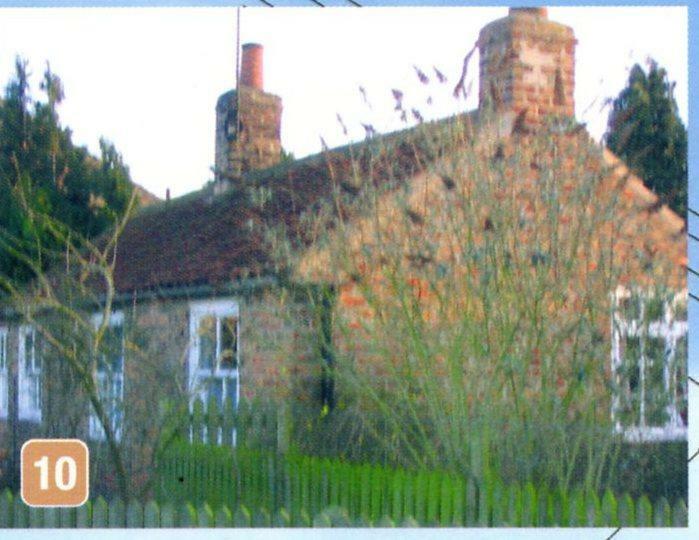 A pair of cottages combined with cricket pavilion. 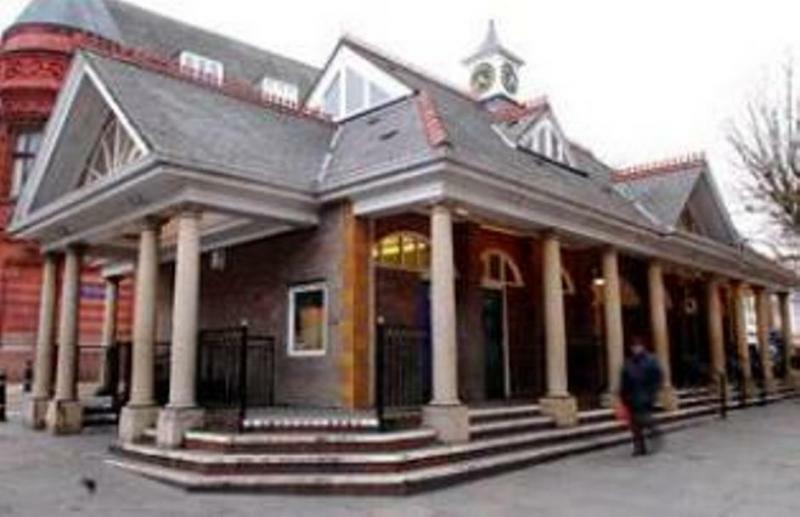 They were constructed as part of the Clifton Hospital facilities, providing a pavilion for the Hospital cricket team and residential accommodation for staff. Included on the Local List as a rare and unusual example of a hybrid sports facility and their interest and place in the story of the development of sports facilities and structures. 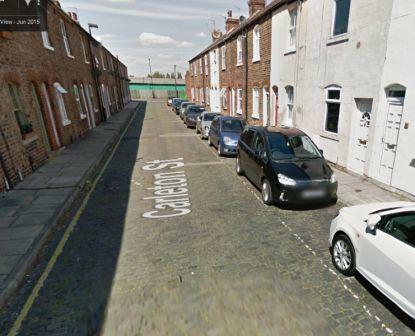 Hexagonal pattern, stable block paving (slag paviours made from colliery waste and believed to be unique to York) with central drainage channel behind many terraced houses in various parts of the City. In danger of being dug up or covered with tarmac. Large Victorian Manor House. 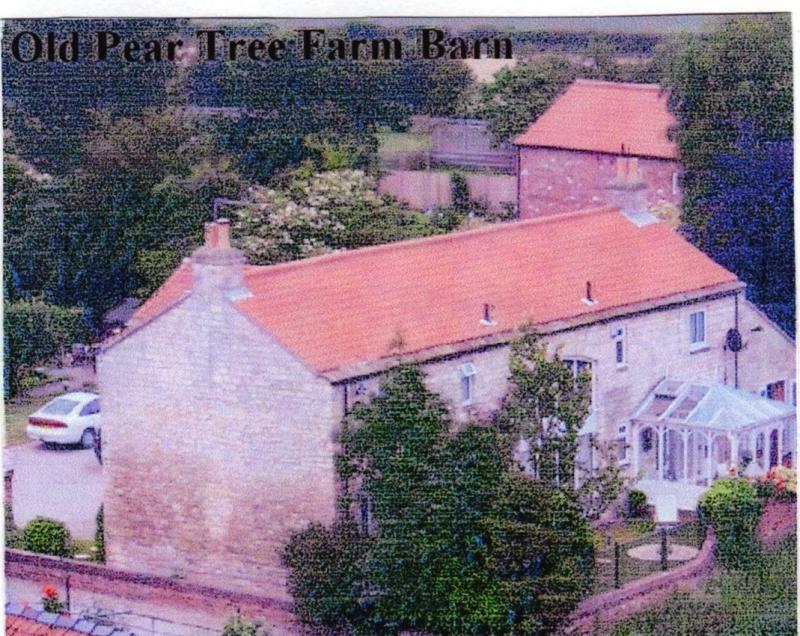 A fine buildingwhichreplaced Pear Tree Farm as the "Manor". 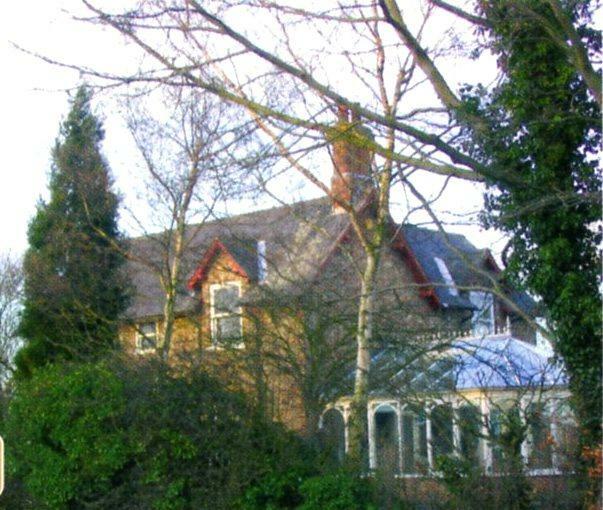 Donated by village benefactors, Misses Middlewood to York Diocese c1895 for use as a vicarage. 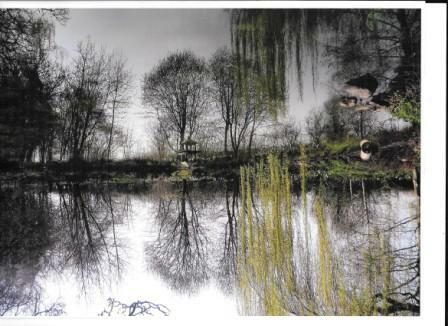 An integral and historic part of the landscape of this conservation area. Designed by Sir Giles Gilbert Scott in 1935. 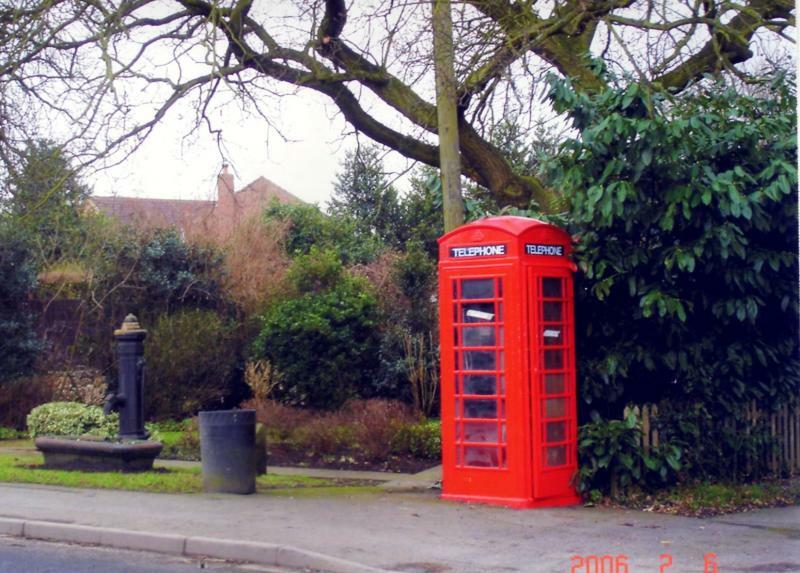 The red kiosk is a village landmark and is an example of a design that is becoming increasingly rare. 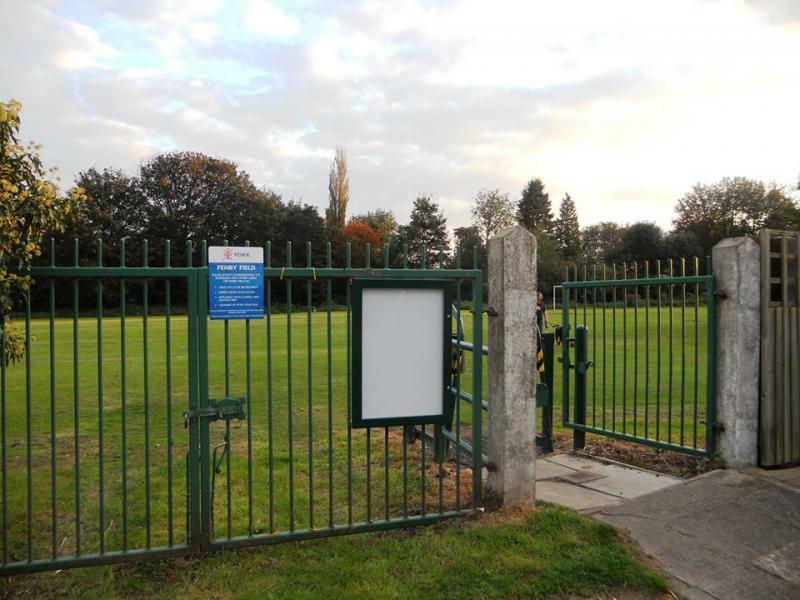 There was another kiosk adjacent to the village playing field, but this was removed some time ago. 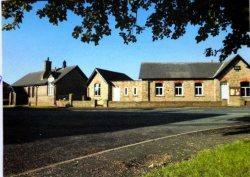 This was Strensall's first Methodist Chapel, becoming a community hall 1895 and renamed St. Mary's Hall. 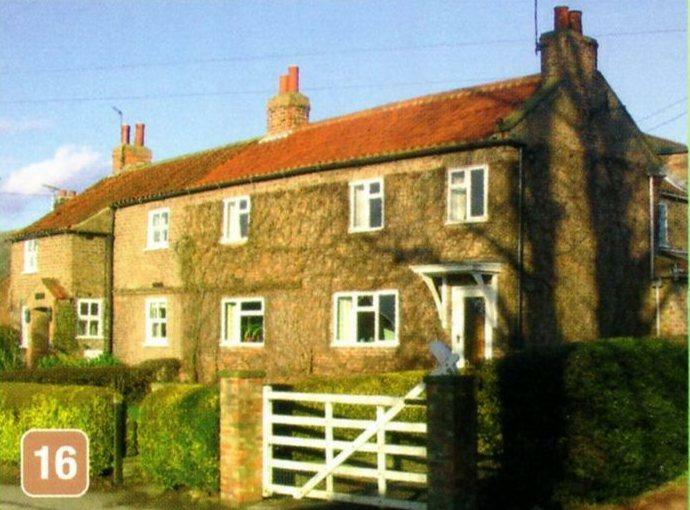 It was converted to domestic use in 1922 but has been unoccupied for several years. 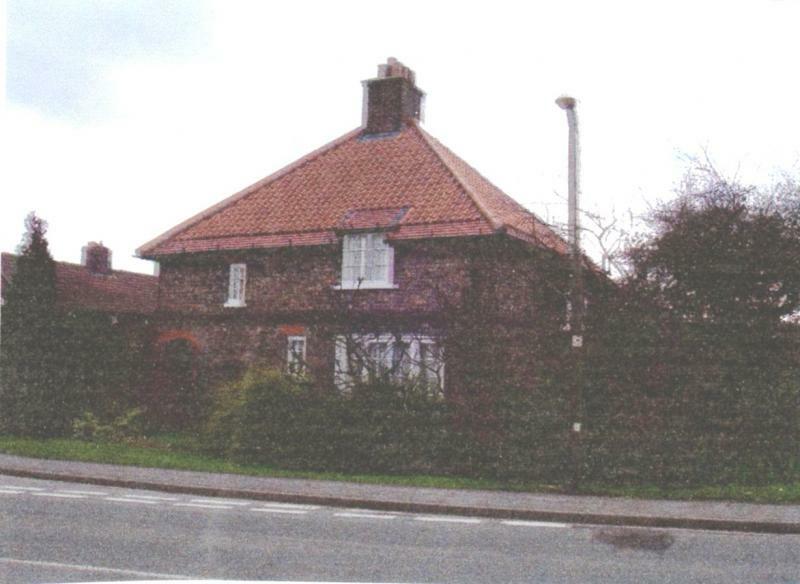 The building situated within Strensall's conservation area is of significant historic interest. Well preserved and fine example of Edwardian Public House, of clamp brick construction with overhanging eaves & soffits, leaded casement windows with arched brick lintels. Contributing to the street scene within the village Conservsation Area. Well preserved Victorian villa with 16 pane sash windows to front, 2 dormers with Yorkshire slide sashes, ornate Victorian portico and panelled door. Contributes to the street scene in a Conservation area. 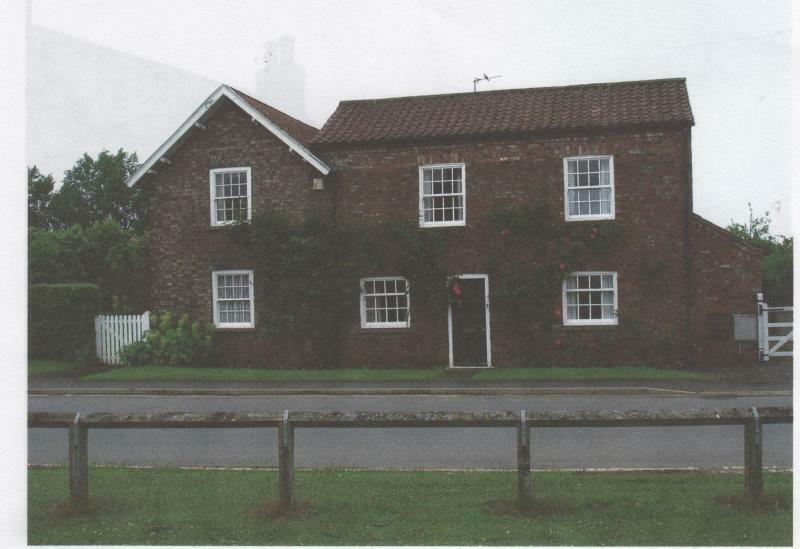 Former village farmhouse fronting onto Main Street and contributing to the street scene in a conservation area. 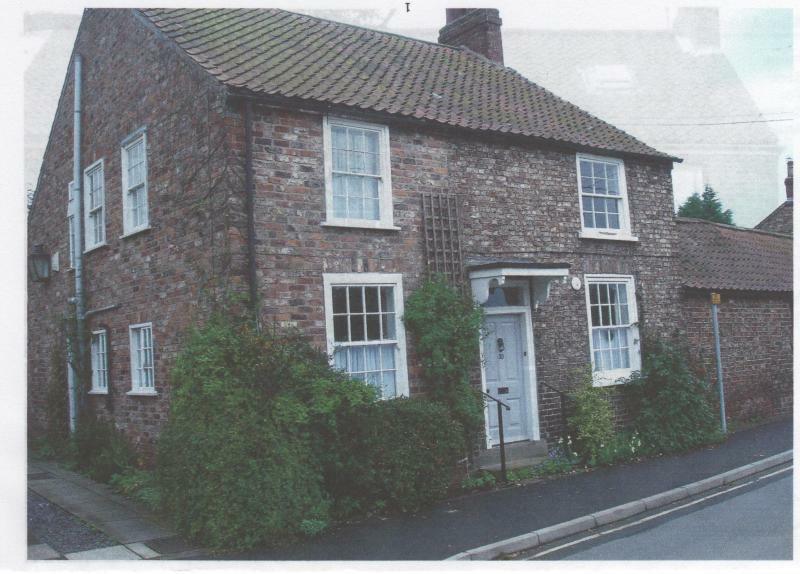 Pair of small brick cottages with original style Yorkshire-light windows and 16 pane sash windows to end, roadside elevation.Contributing to the street scene in a conservation area. Attractively frontaged Georgian cottage with 6 panel door with leaded portico and transome. Contributing to the street scene in a Consevation Area. 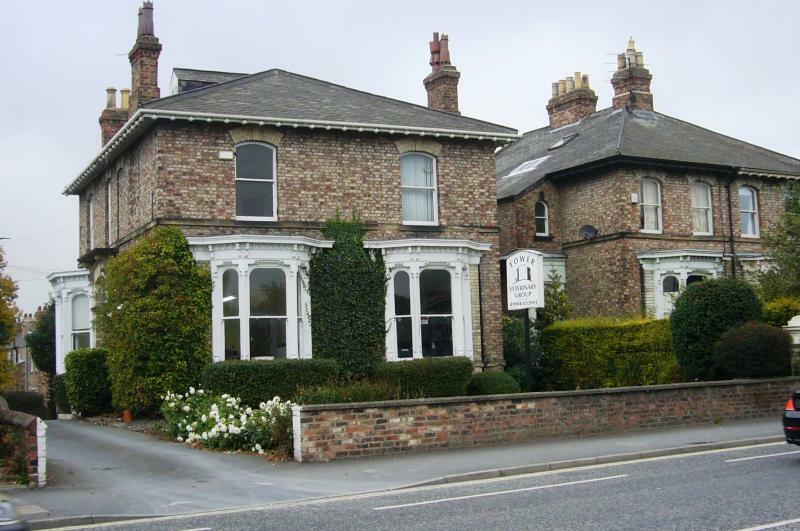 Former Victorian estate worker's cottage fronting onto street and contributing to the street scene in a Conservation Area. Georgian, former estate workers cottage (formerly a pair) fronting onto street. Clamp brick construction with some original fenestration to frontage. Contributing to the street scene in a Conservation Area. 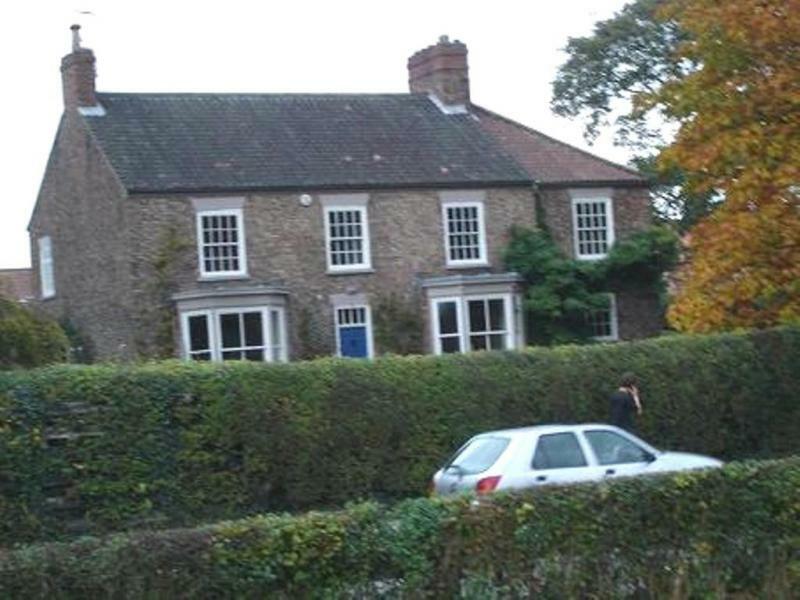 Georgian brick built farmhouse with 6 panel door with ornate transom and 16 pane sash windows to front. Contributing to the street scene in a Conservation Area. 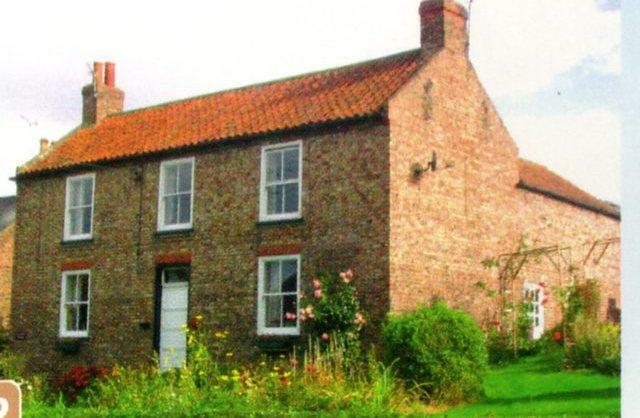 Georgian brick built farmhouse with Victorian additions and 16 pane Georgian style sash windows to front. A key building at entrance to to the village contributing to the street scene in a conservation area. View on map 1900 The existence of these stables is a reminder of the major role played by horses on the railway and in towns. This extremely rare survival of a large stable range is illustrative of its original function despite later conversion to other uses. They have a visual and functional group value with the old Goods Station, now the National Railway Museum, and the adjacent Coal Manager's office. Of High Historical & Evidential Significance. 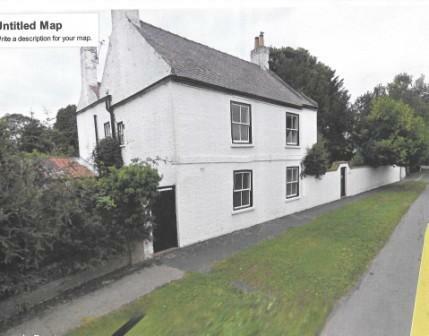 Believed to have been a later 19th Century remodelling of two terrace houses built by 1838 appearing on the 1852 OS map. 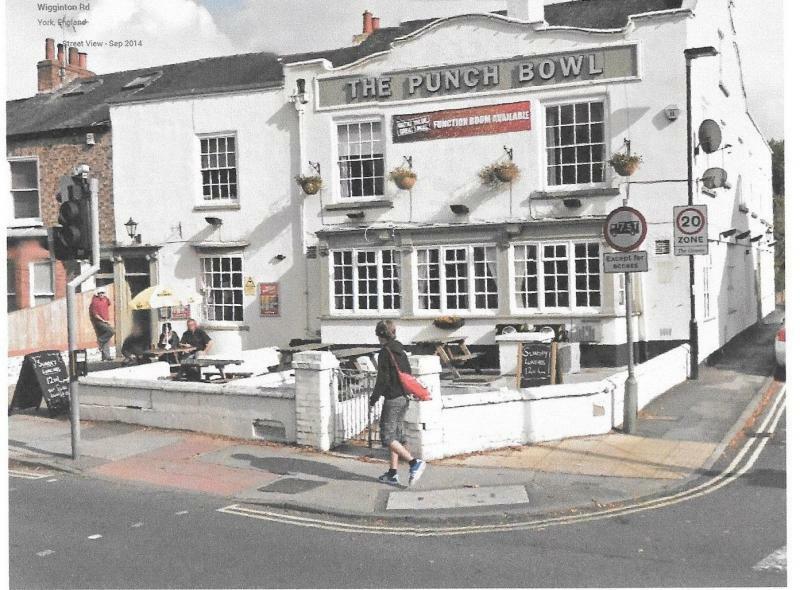 The Punch Bowl is an interesting landmark building which makes a significant contribution to area character and townscape at this nodal location. Its "Dutch" style end gabling and matching scrolled parapet to the main frontage making it architecturally distinctive. It is, moreover, a much valued community asset. 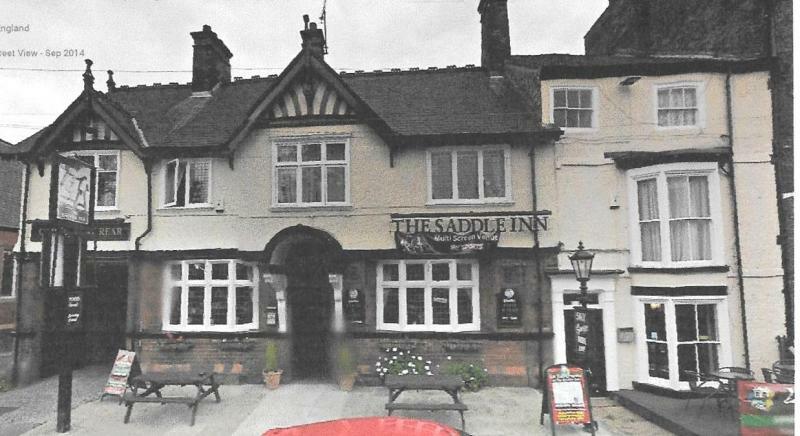 The Saddle is an important visual element in the varied historic townscape of Fulford, recognised for its positive contribution to area character in the Fulford Conservation Area. It is an attractive example of a turn of the century public house, purpose designed & built for the Tadcaster Tower Brewery Co.(Probably by local architect Samuel Needham). It is also a much valued community asset. 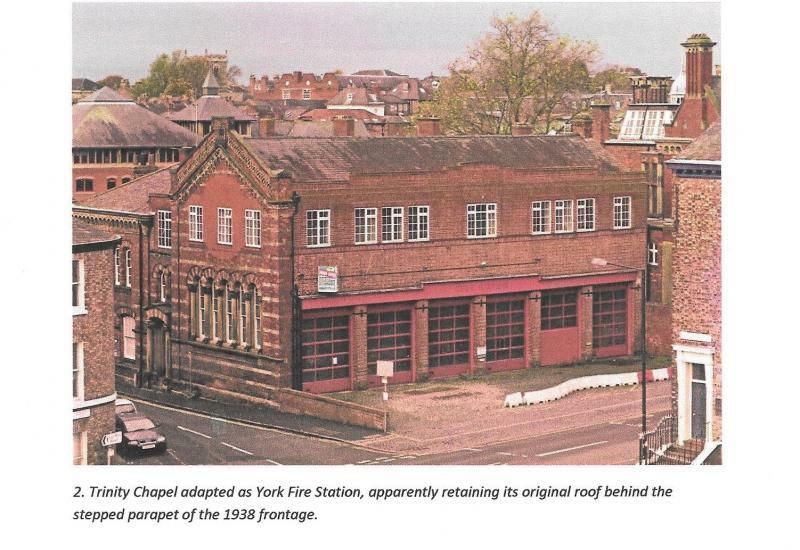 Sympathetic re-use of chapel converted to fire station, this brick and stone building having now served the community for over 150 years The chapel, formerly a Methodist 'New Connection' building demonstrates an aspect of York's religious history. Designed by J.B.& W. Atkinson, Architects, opened in 1855 and converted in 1938. The Peckitt Street aspect is of considerable architectural interest which is not intrusive in its setting. .